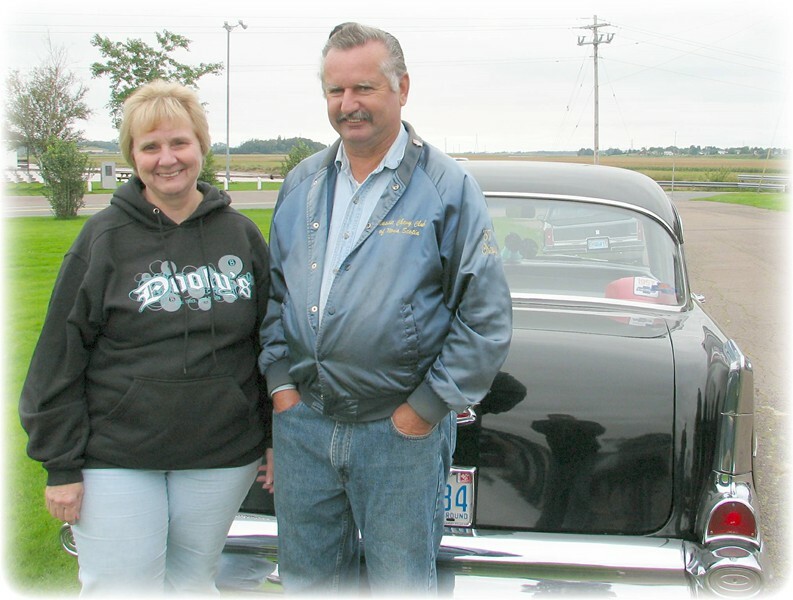 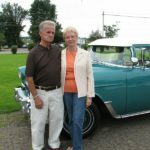 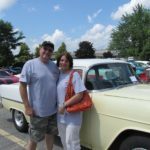 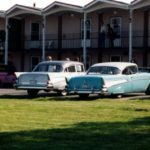 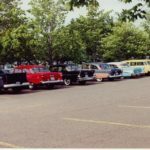 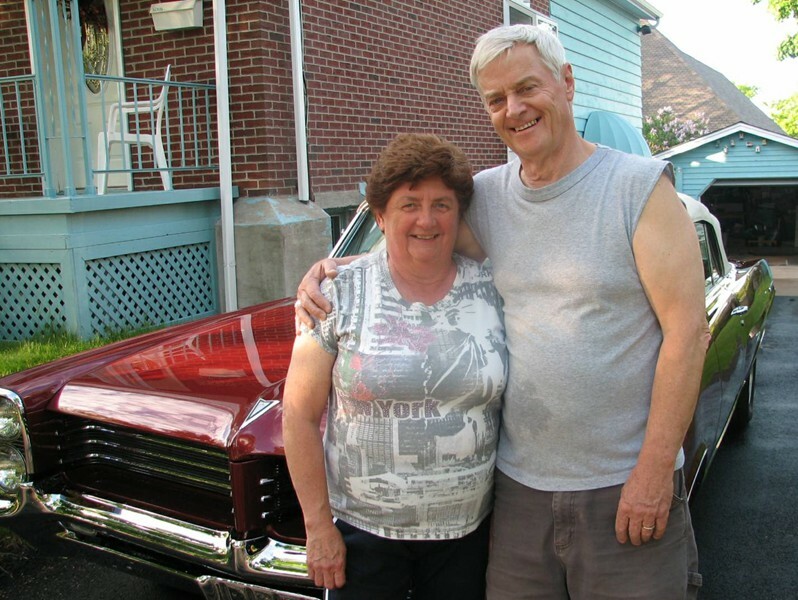 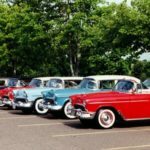 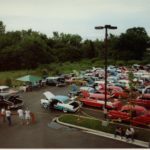 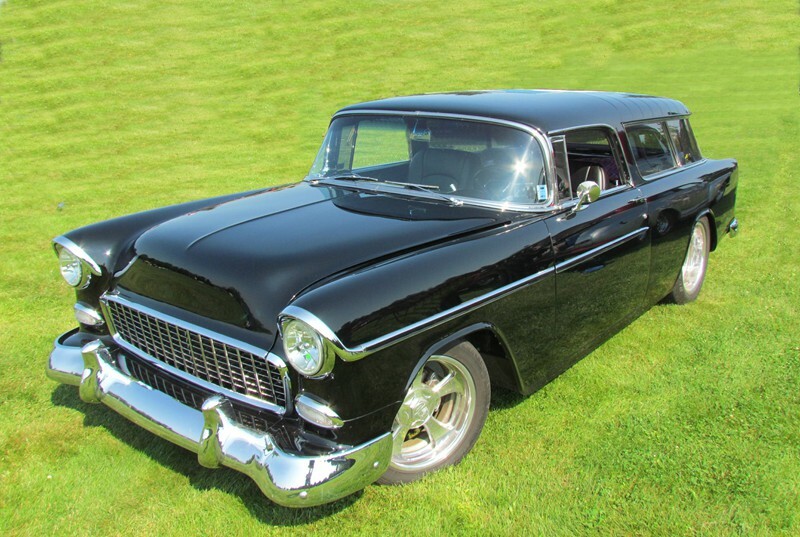 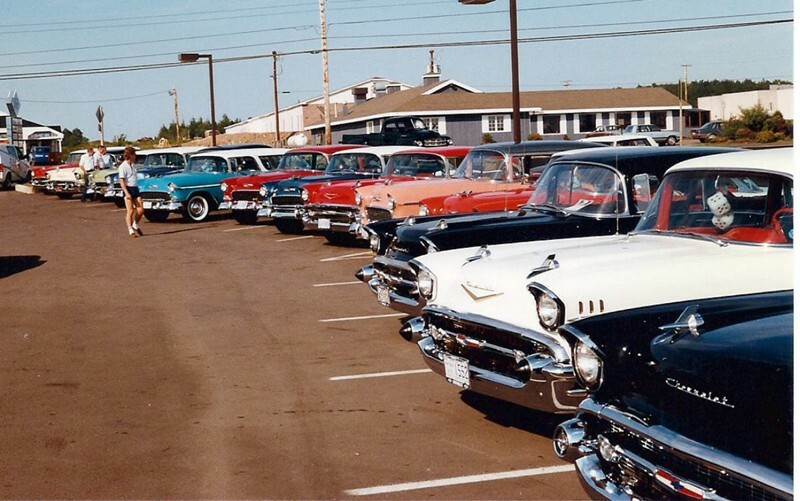 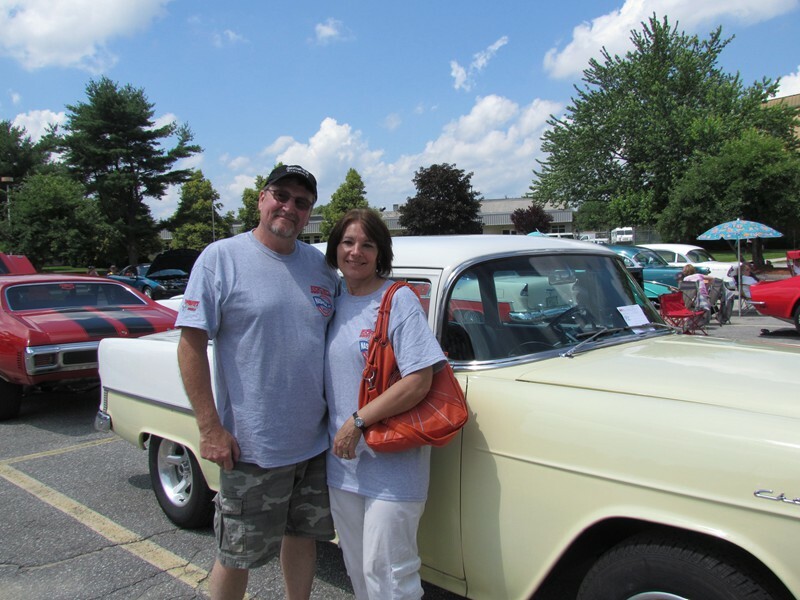 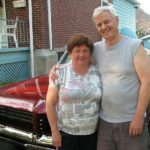 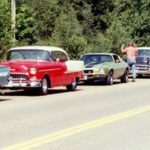 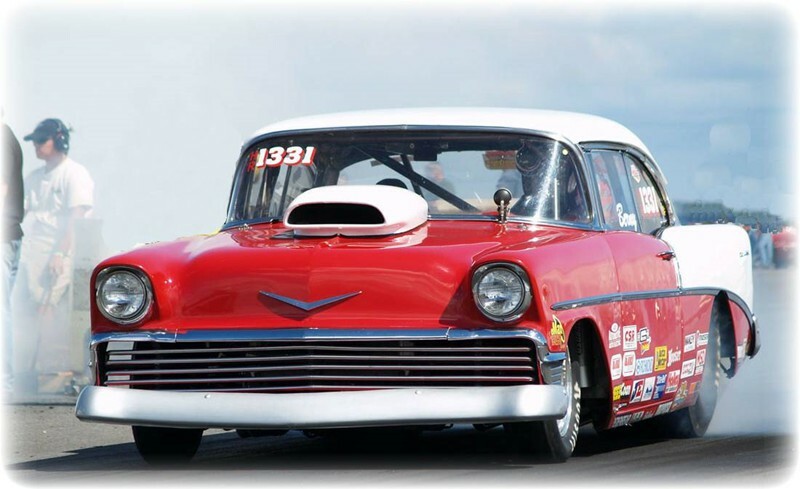 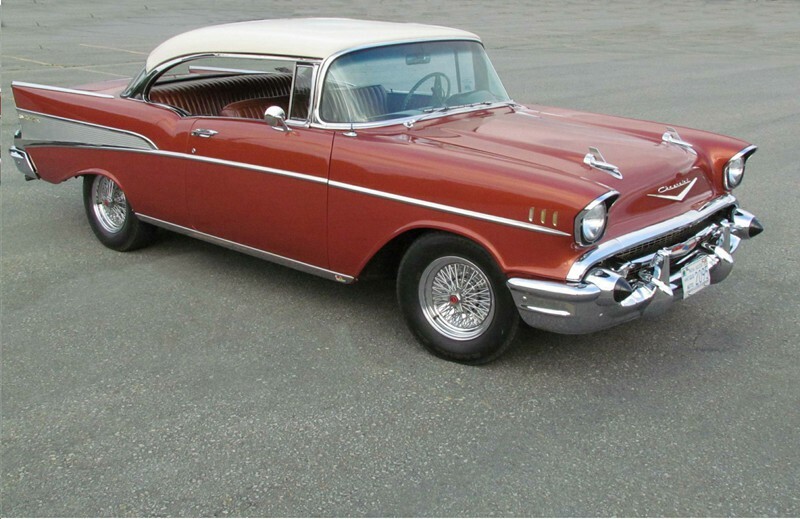 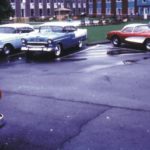 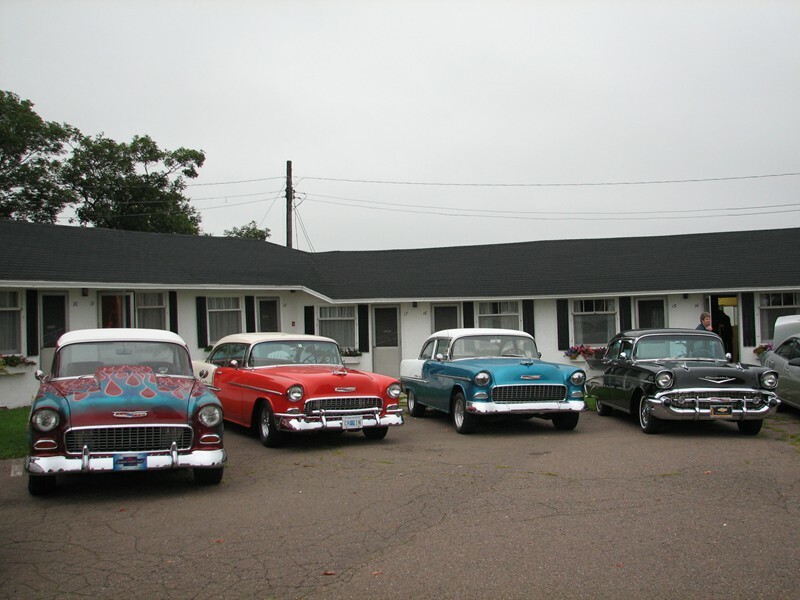 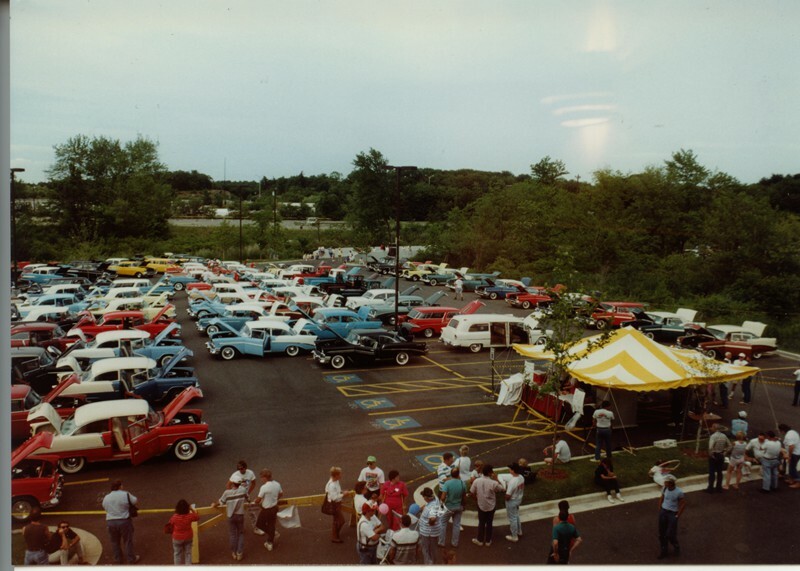 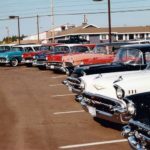 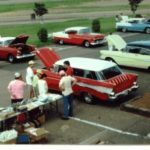 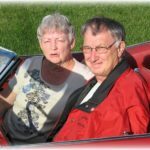 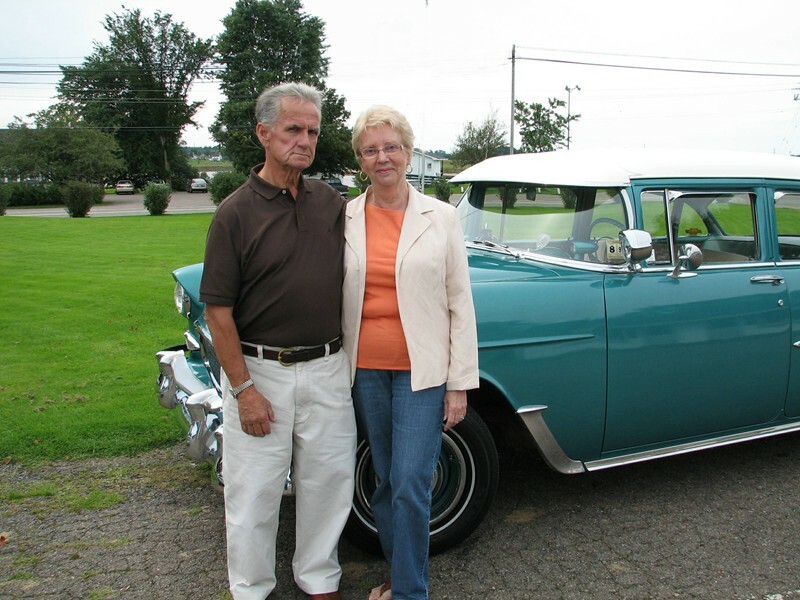 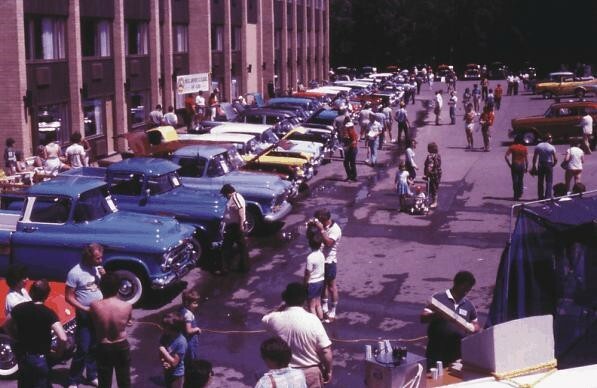 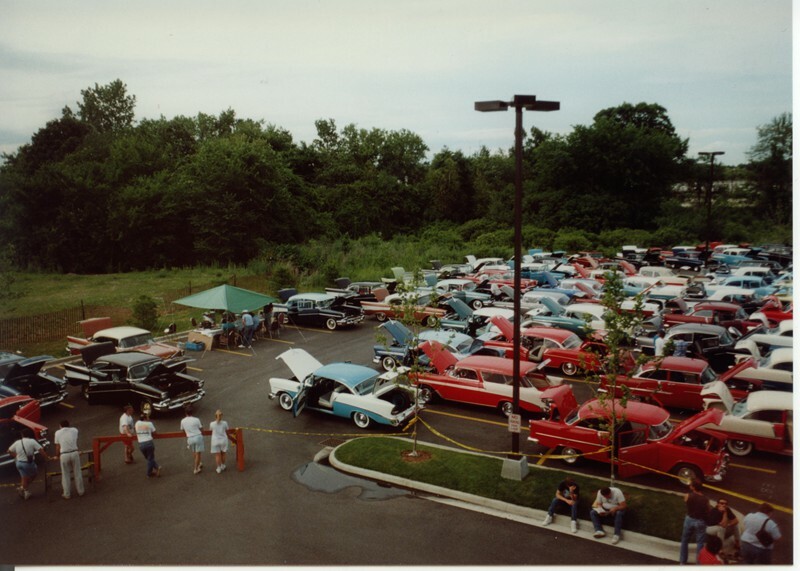 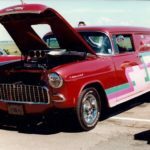 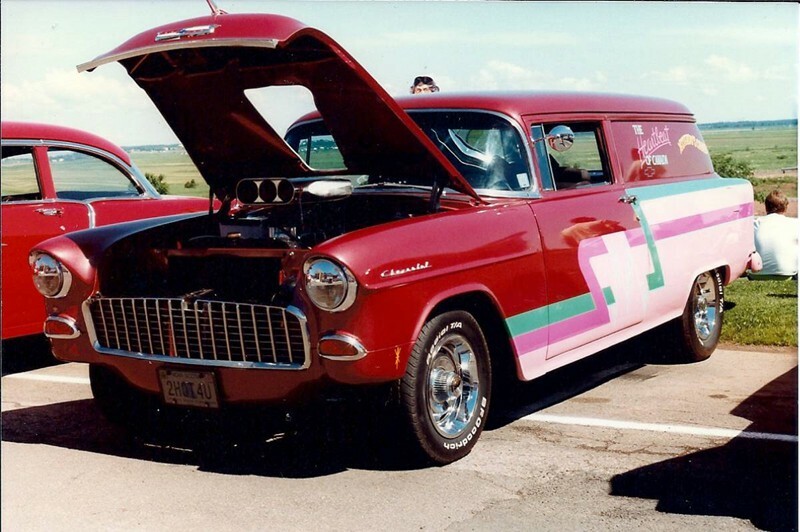 Early in 1981, Skip Collier got together with Gary Porter and Hazel and made a list of all the people they knew who owned ’55, ’56 and 57 Chevys and started calling them to invite them to a meeting to discuss forming a club. 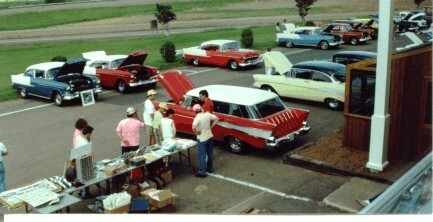 That meeting took place on February 15, 1981. 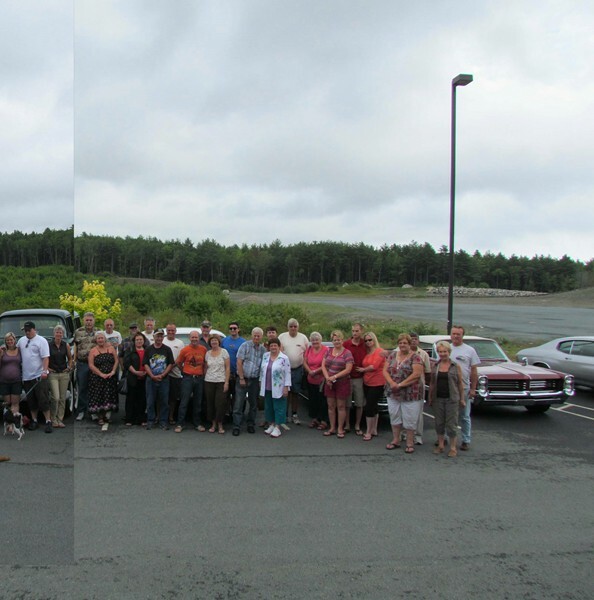 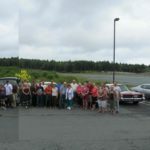 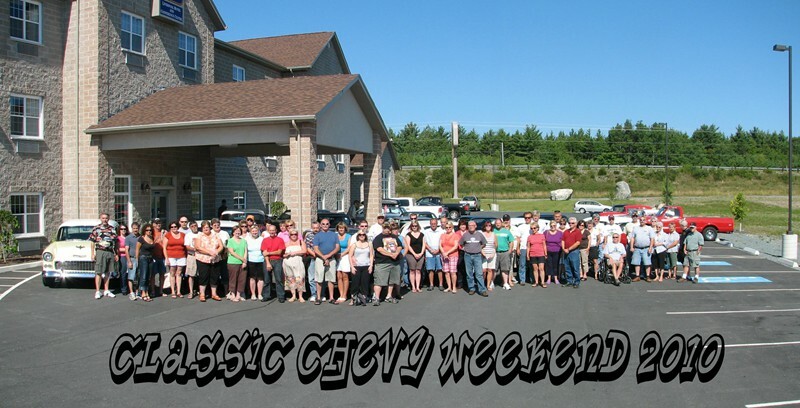 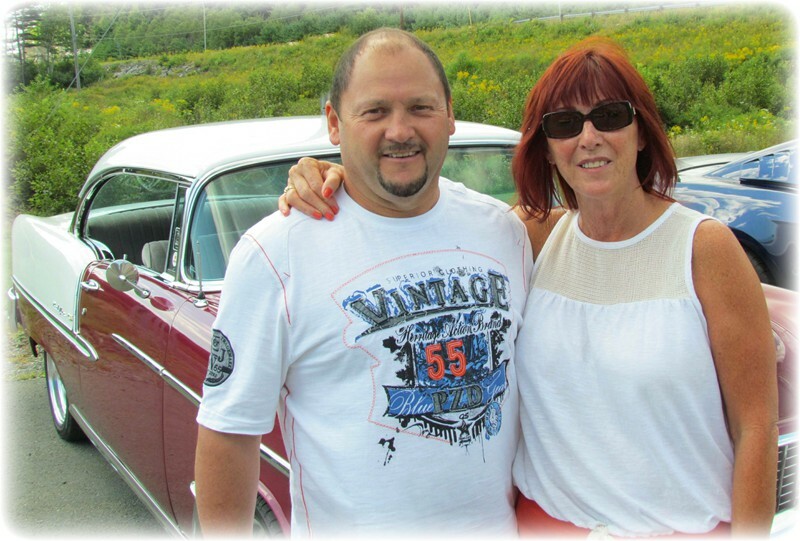 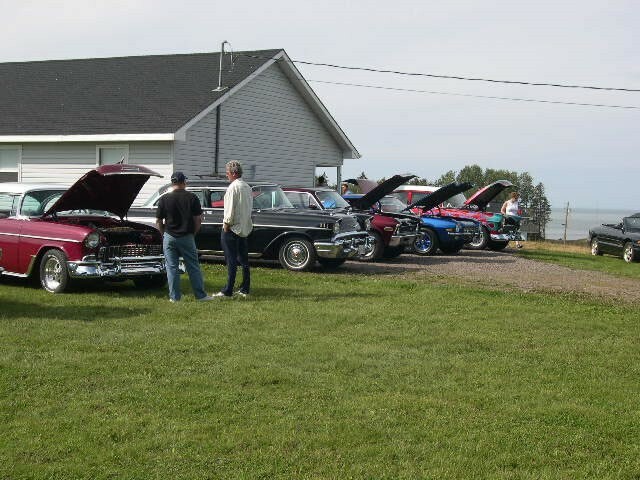 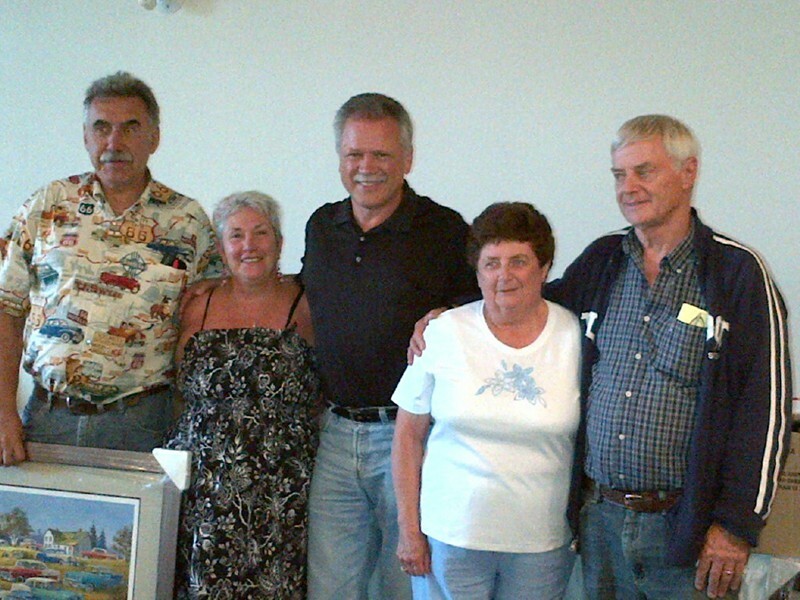 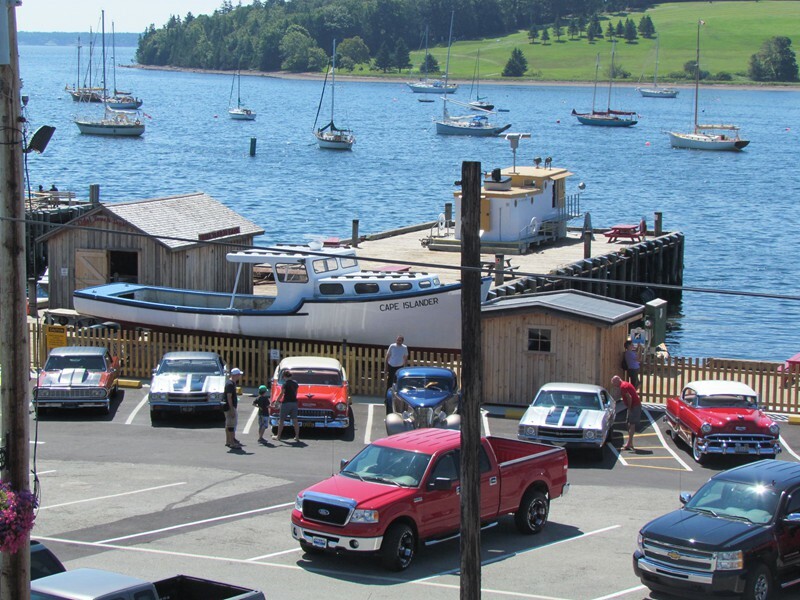 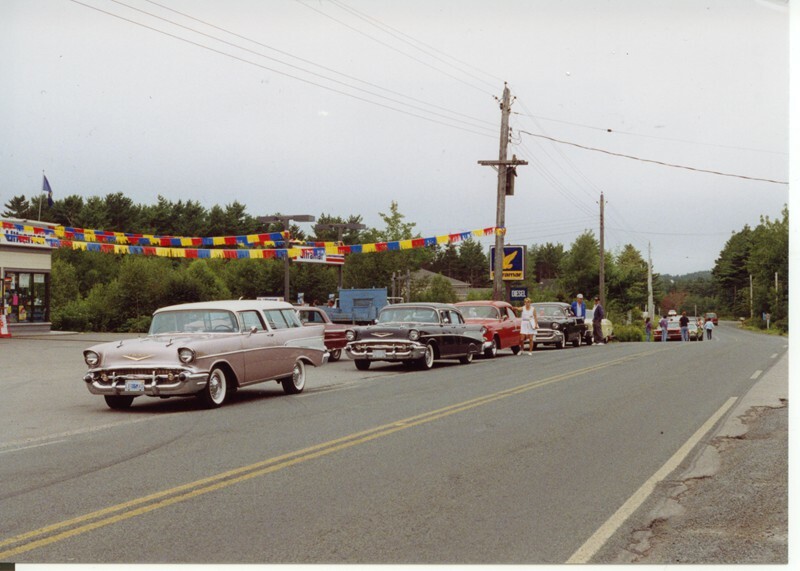 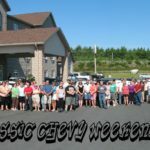 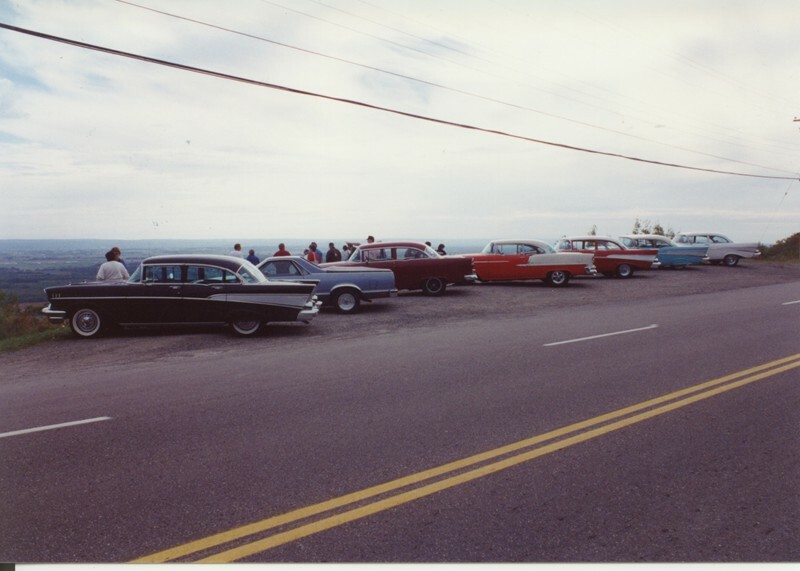 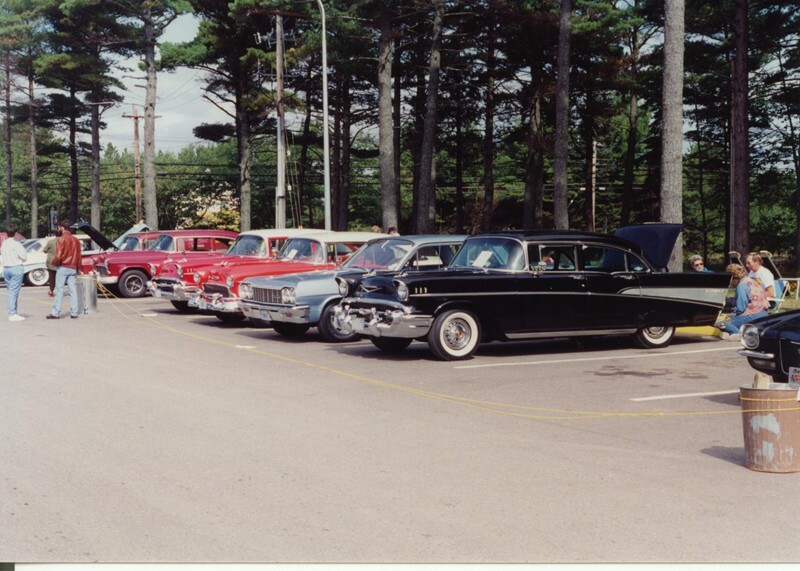 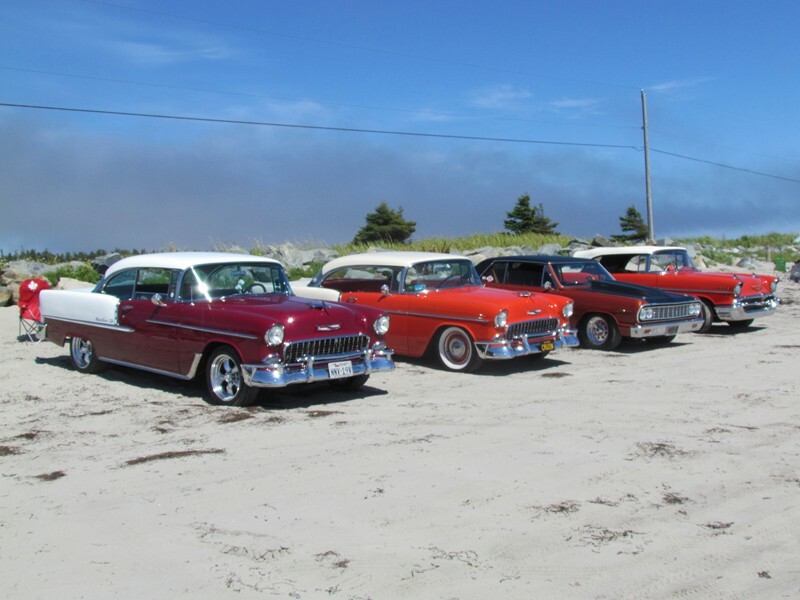 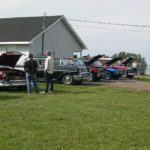 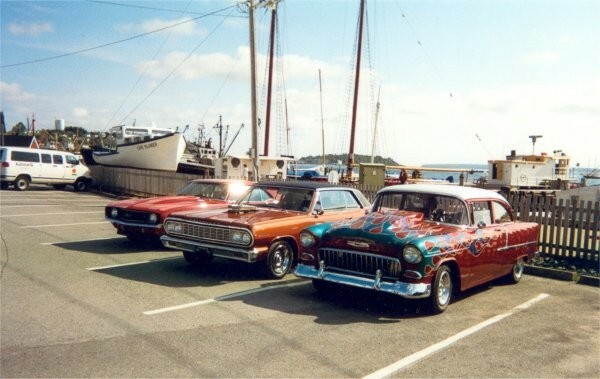 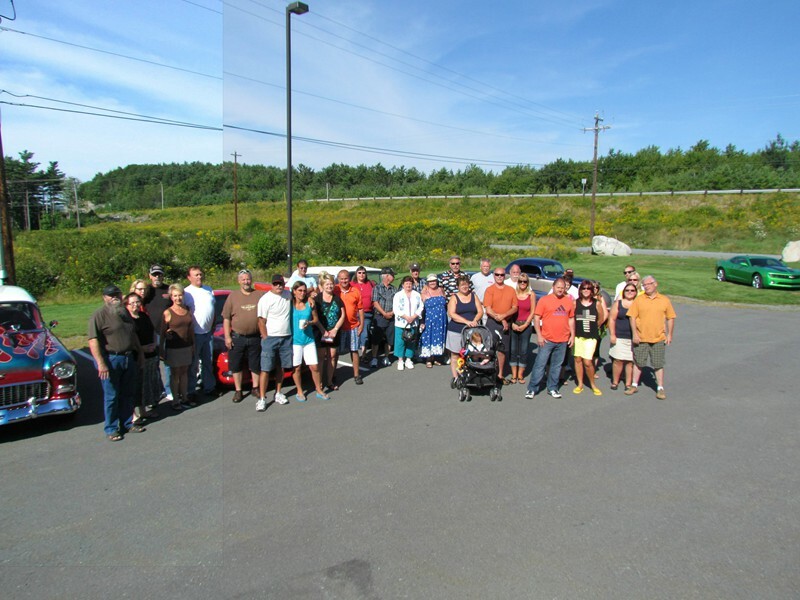 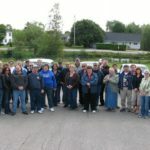 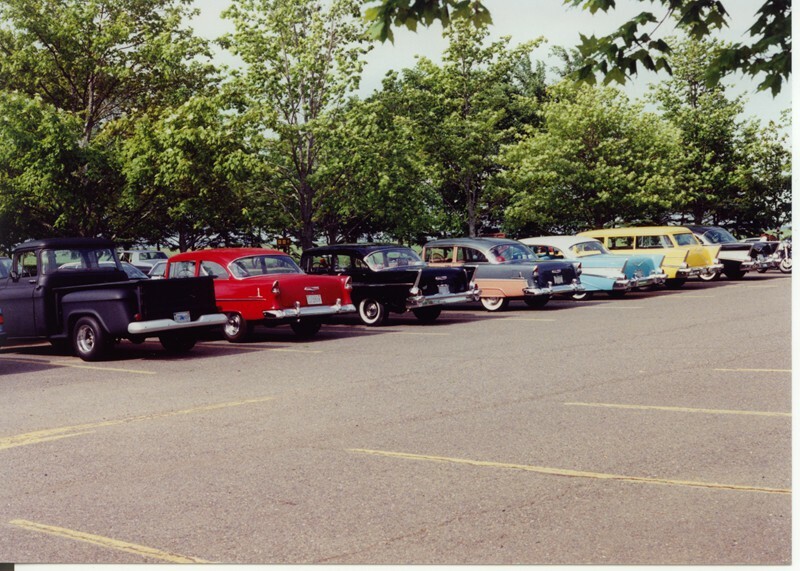 Seventeen Classic Chevy owners showed up and together they formed the Classic Chevy Club of Nova Scotia. 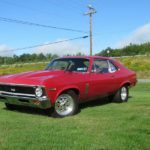 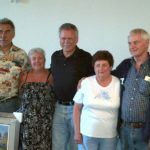 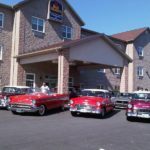 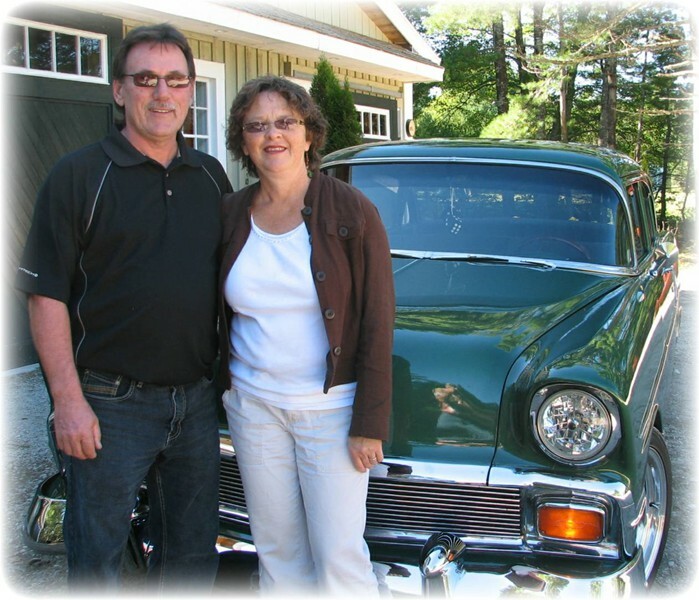 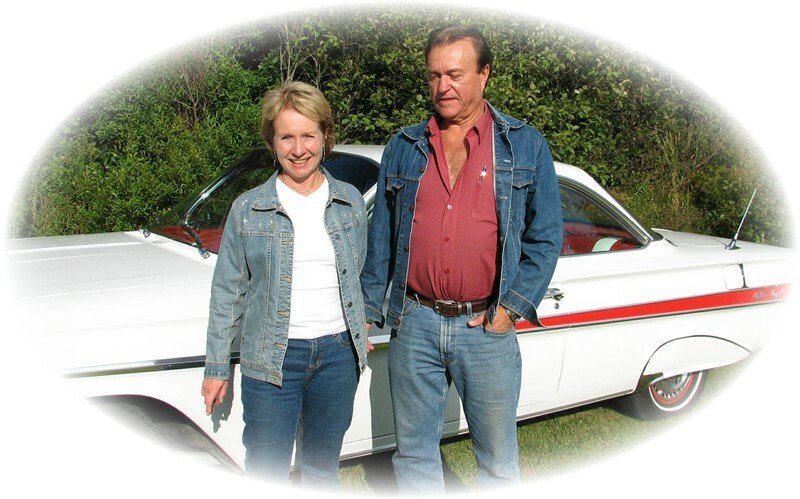 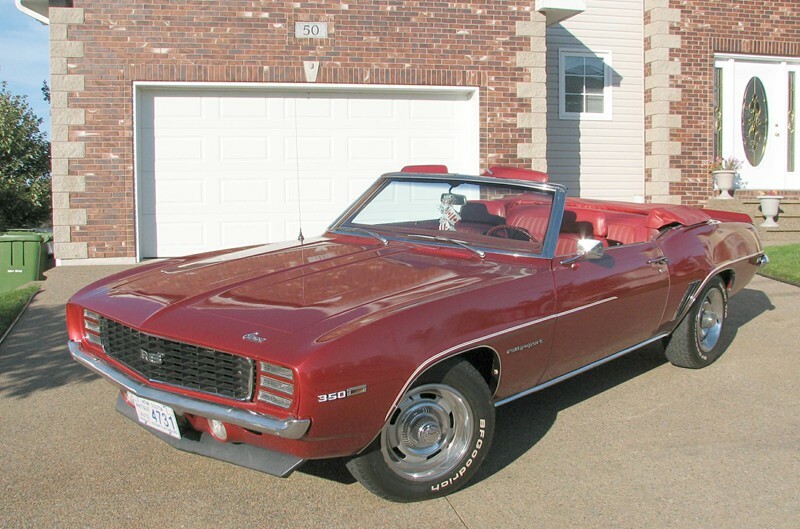 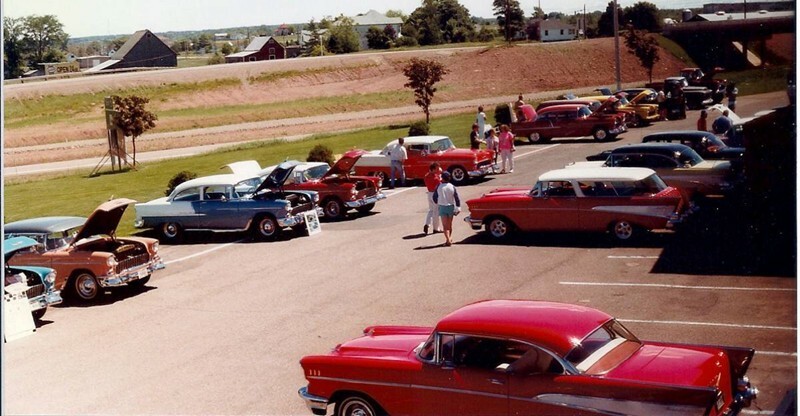 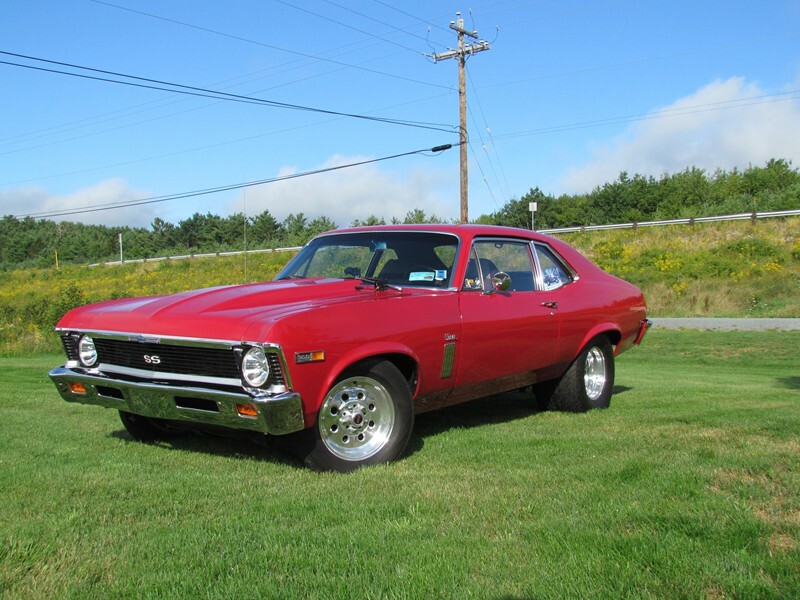 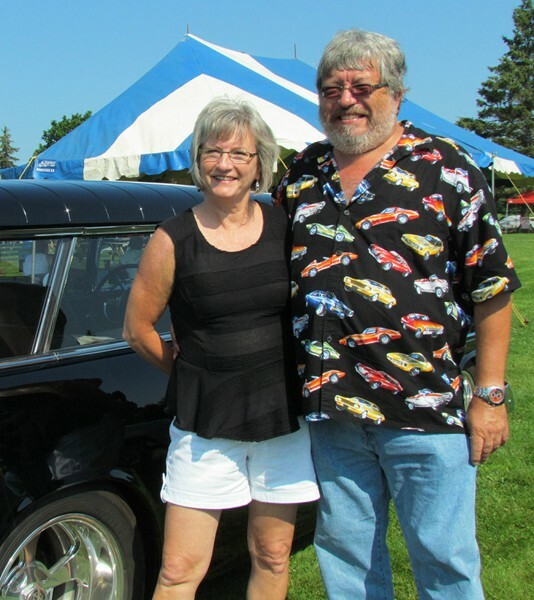 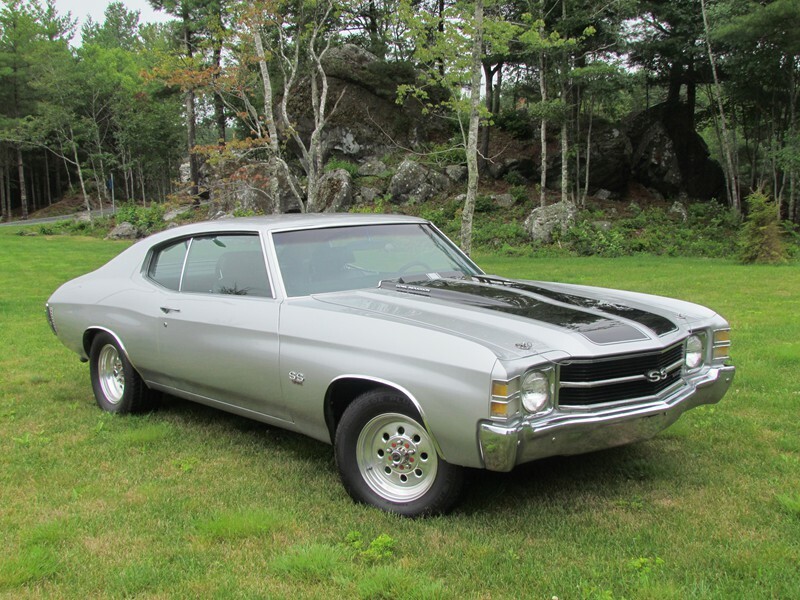 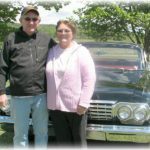 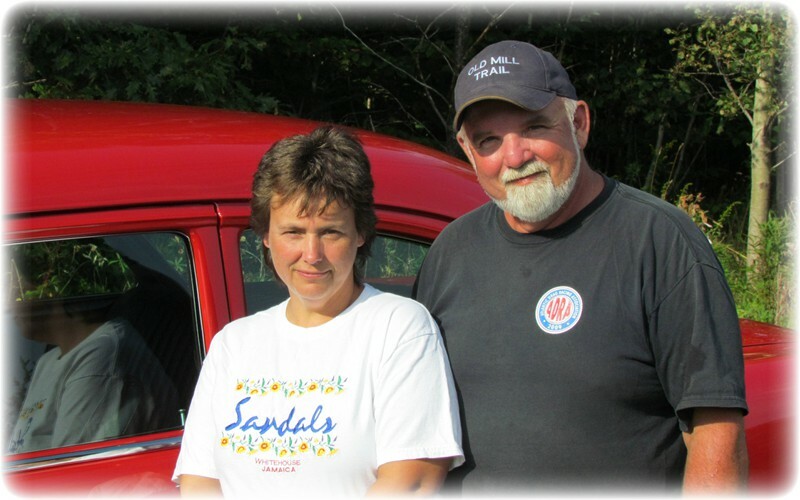 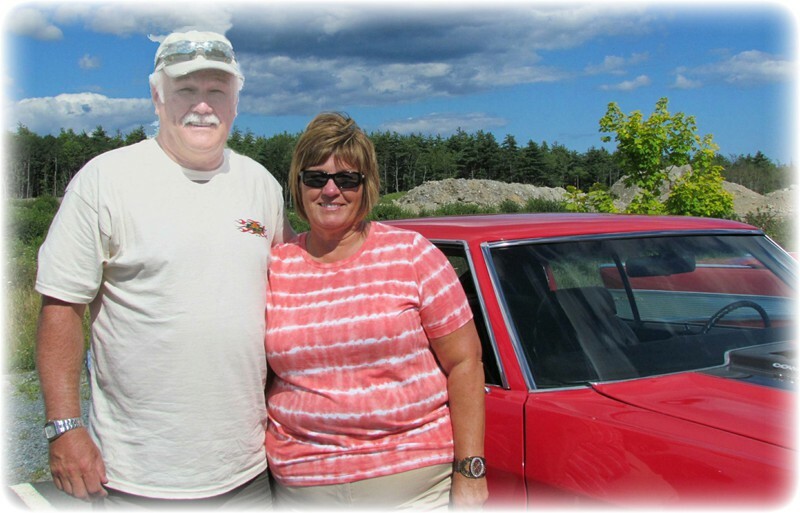 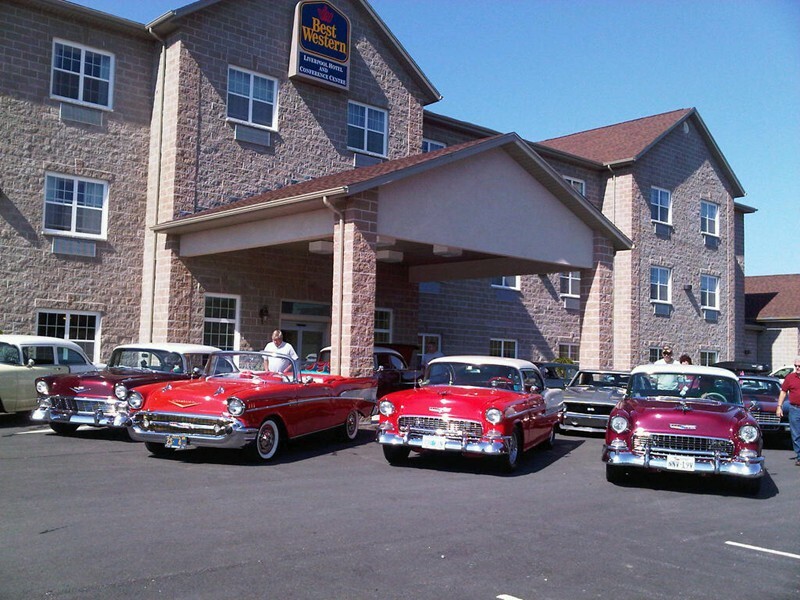 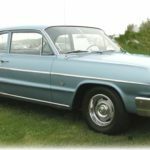 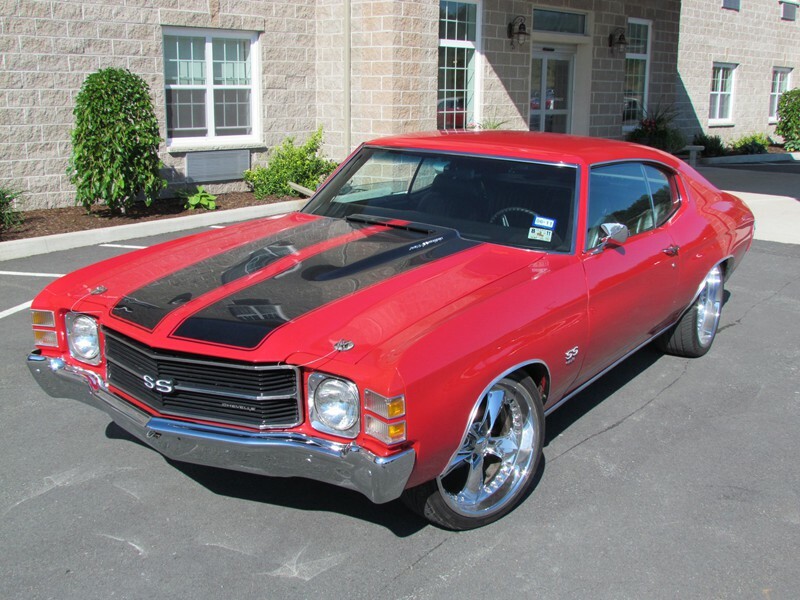 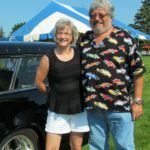 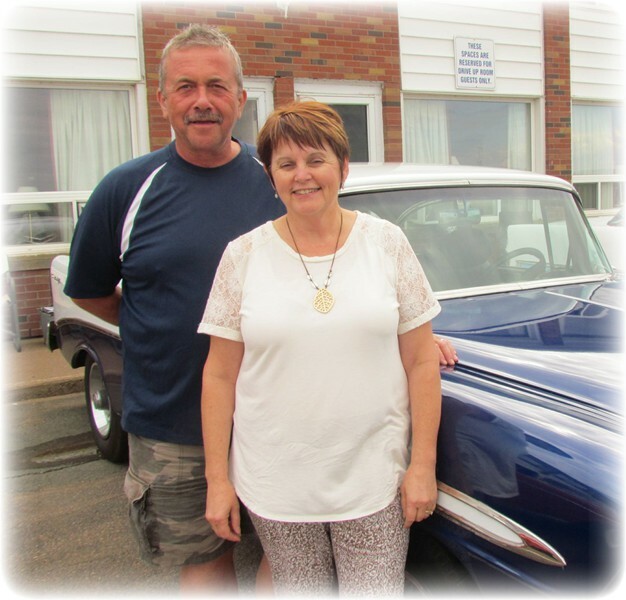 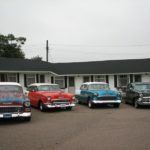 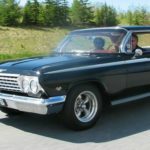 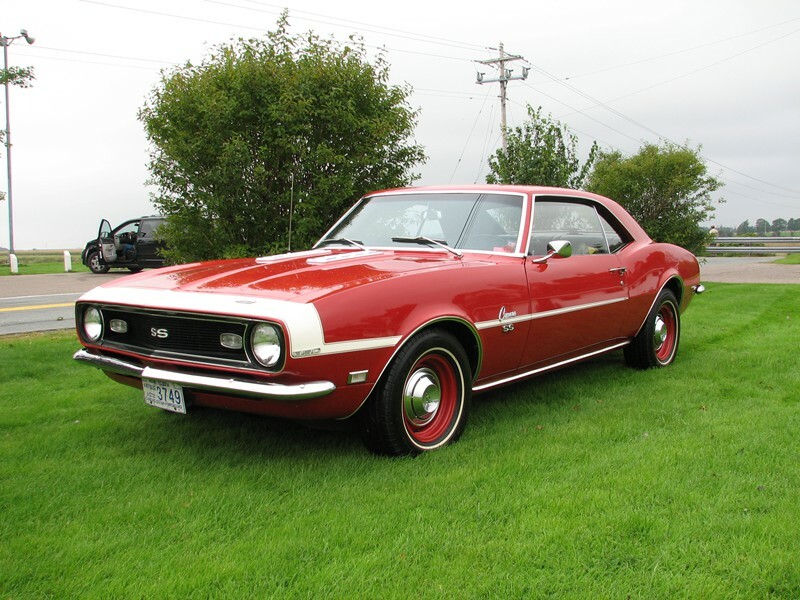 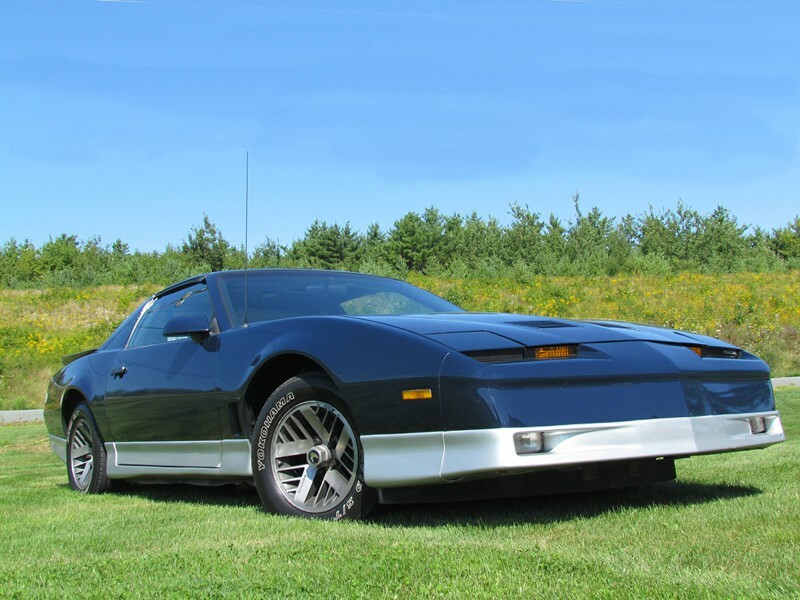 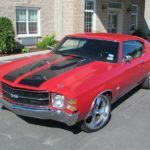 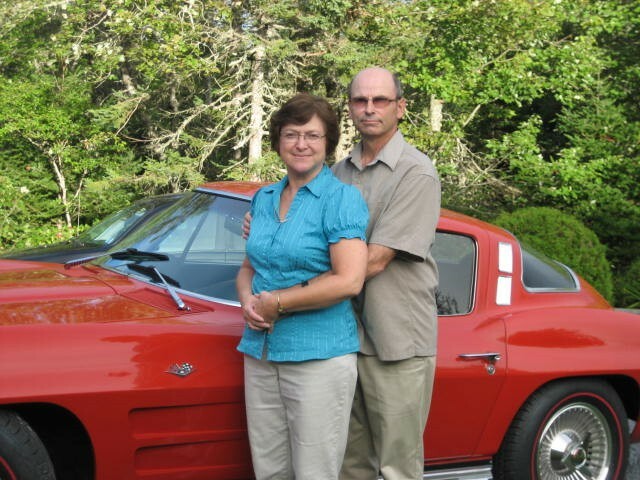 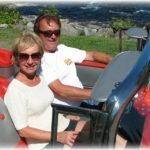 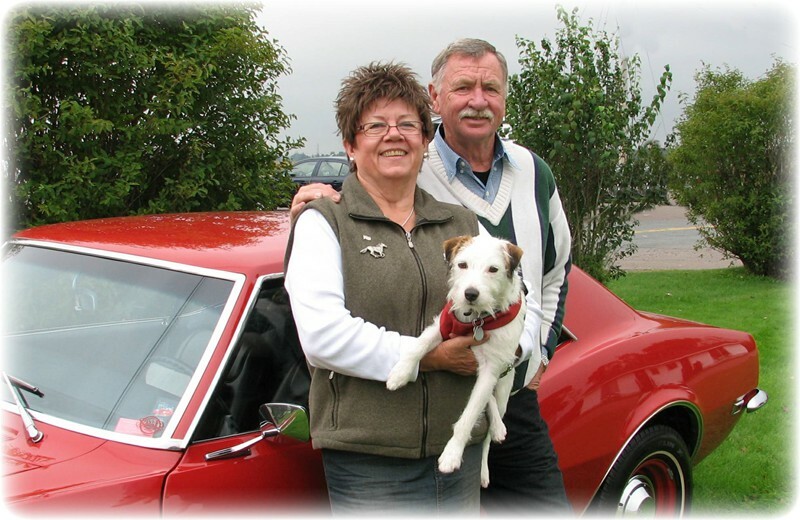 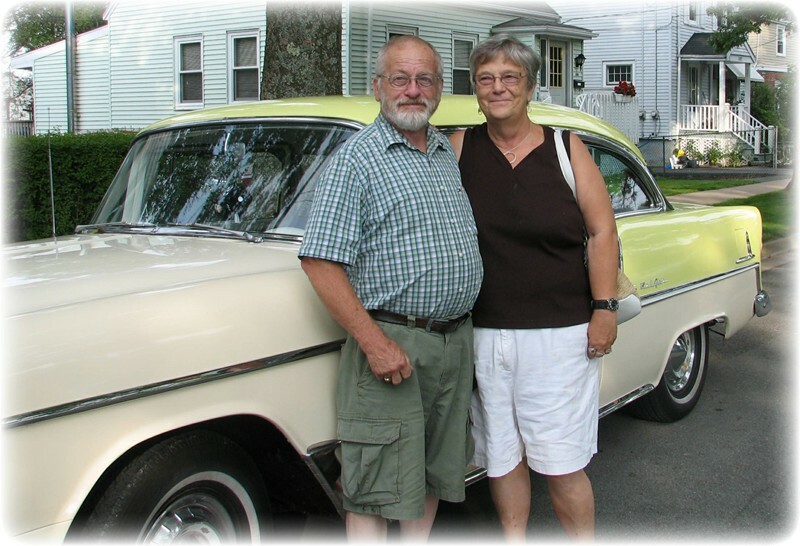 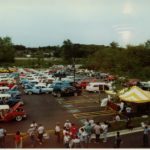 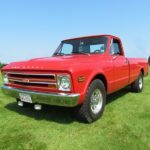 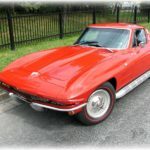 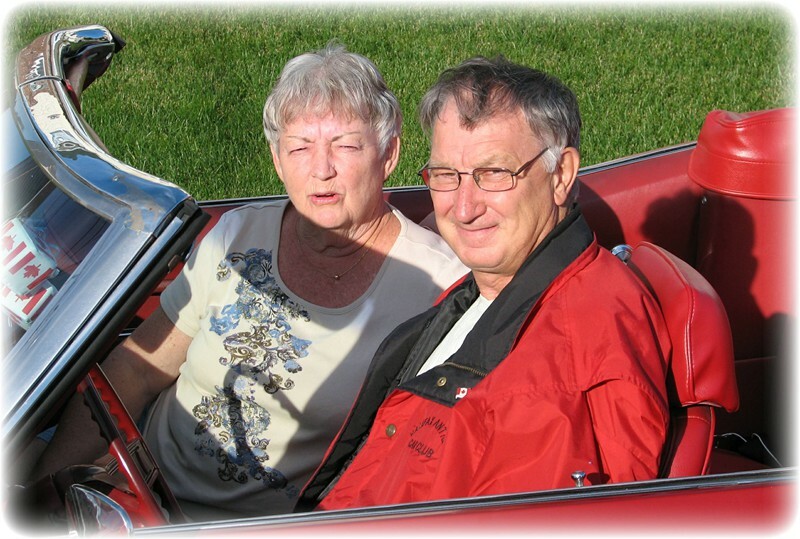 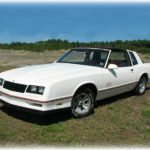 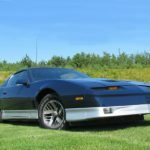 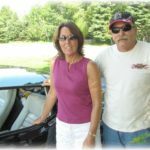 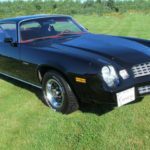 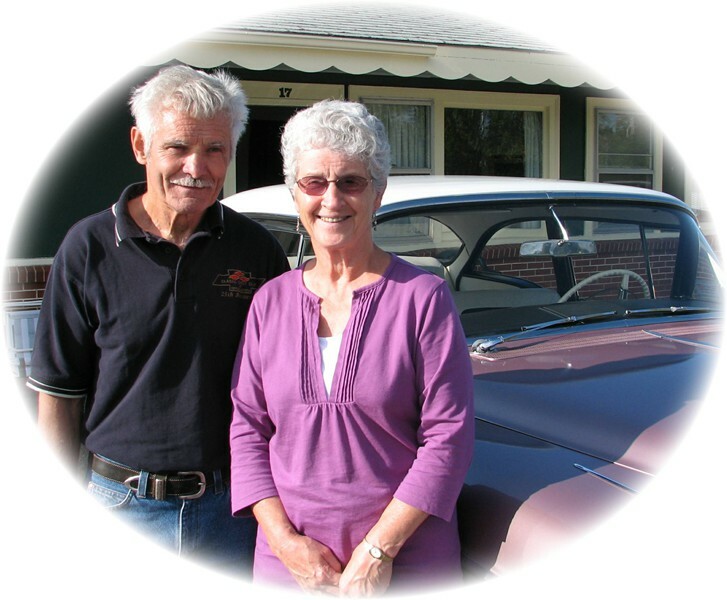 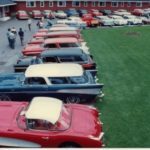 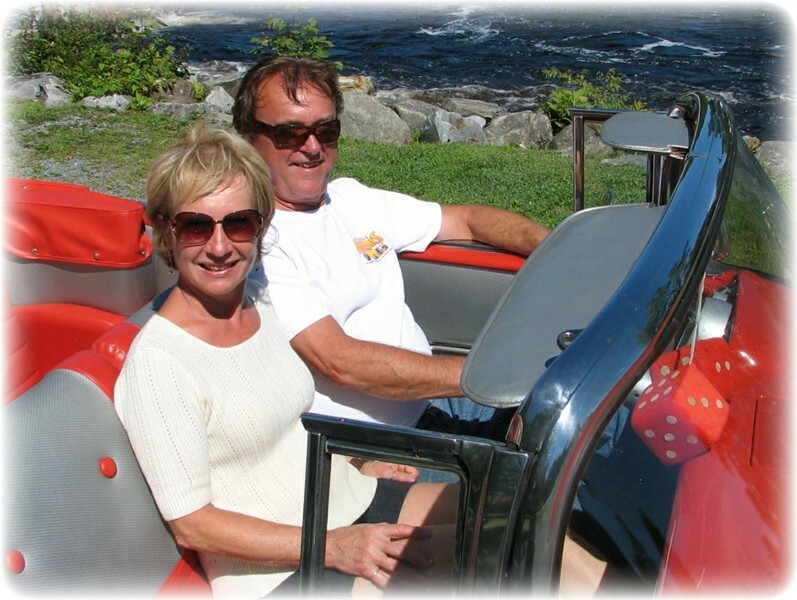 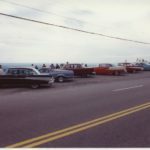 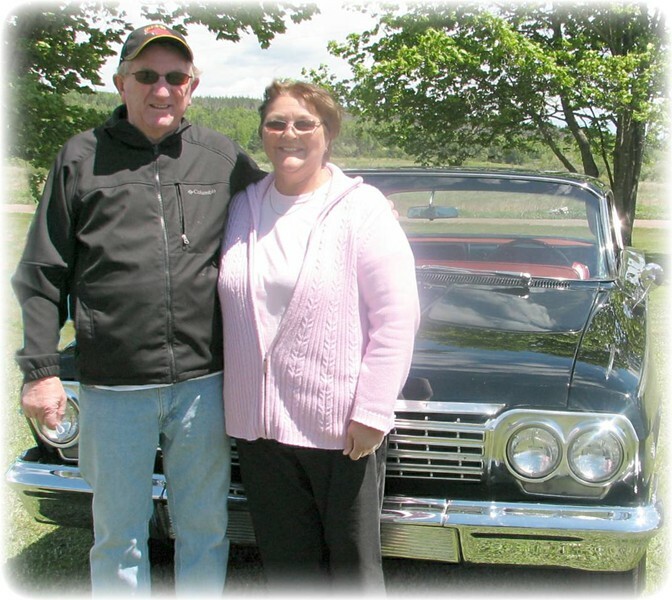 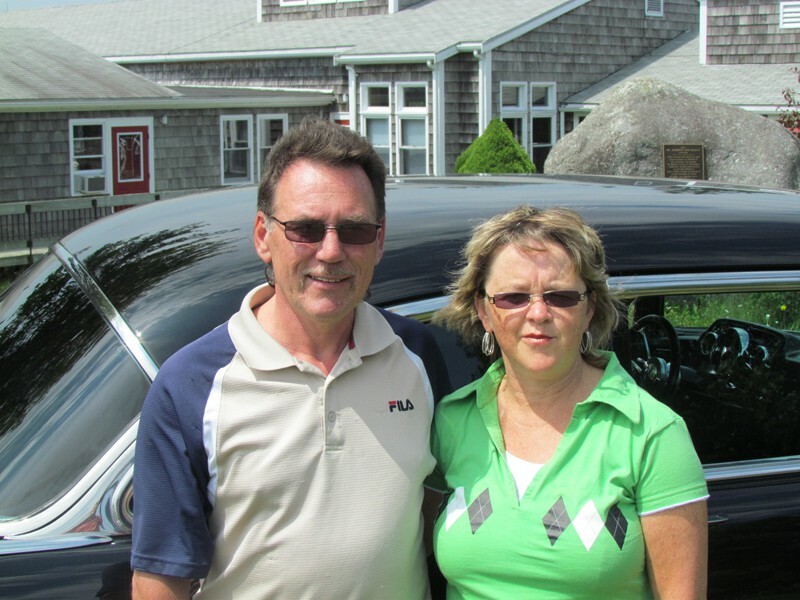 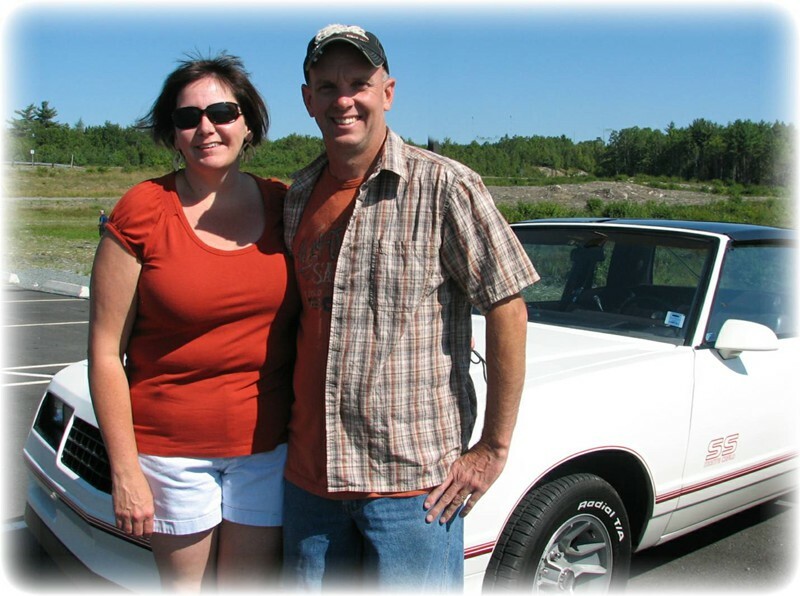 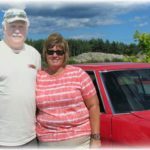 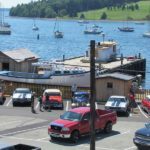 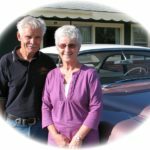 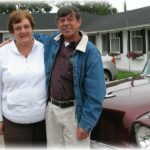 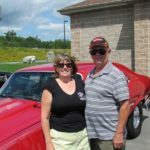 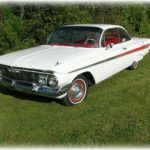 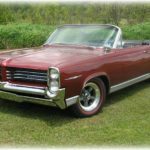 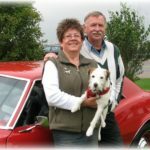 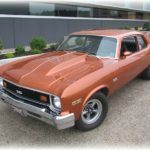 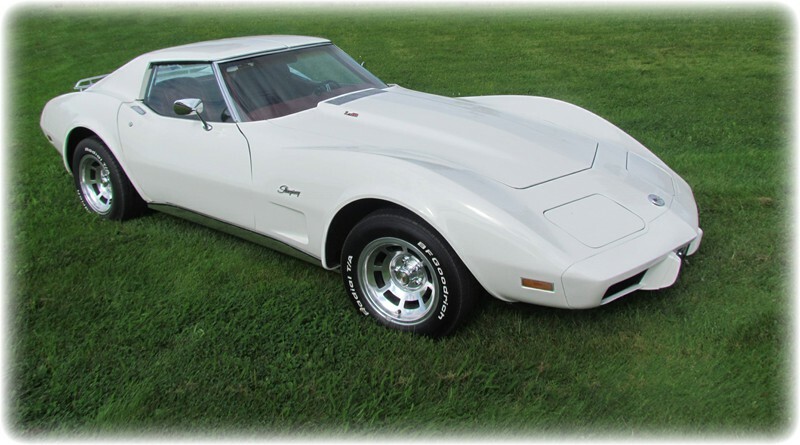 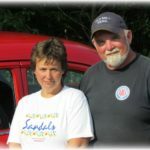 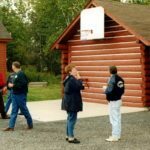 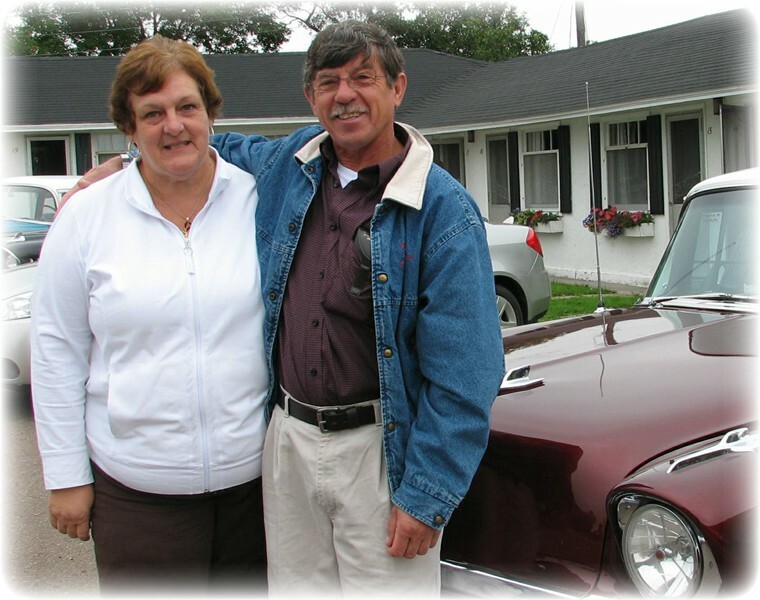 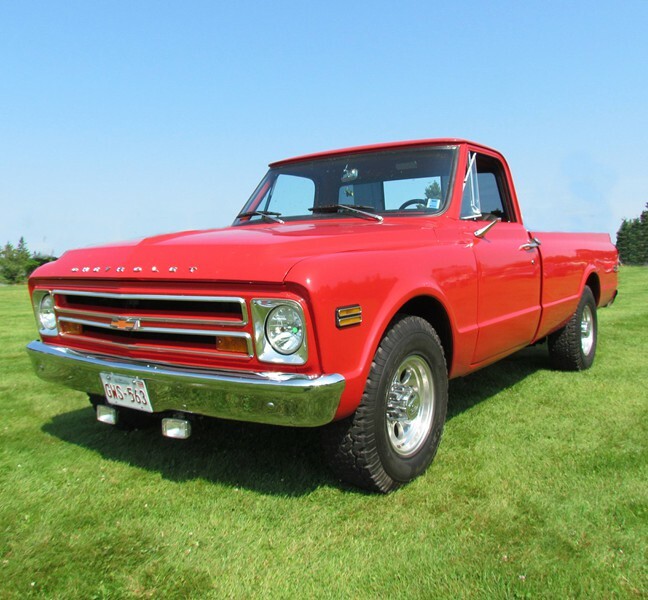 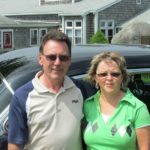 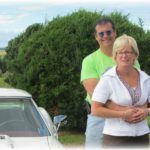 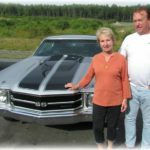 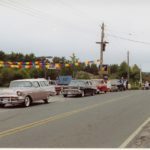 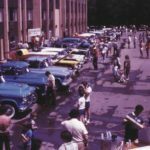 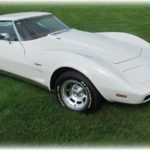 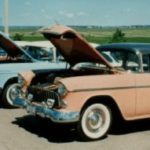 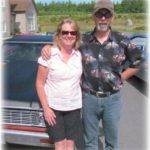 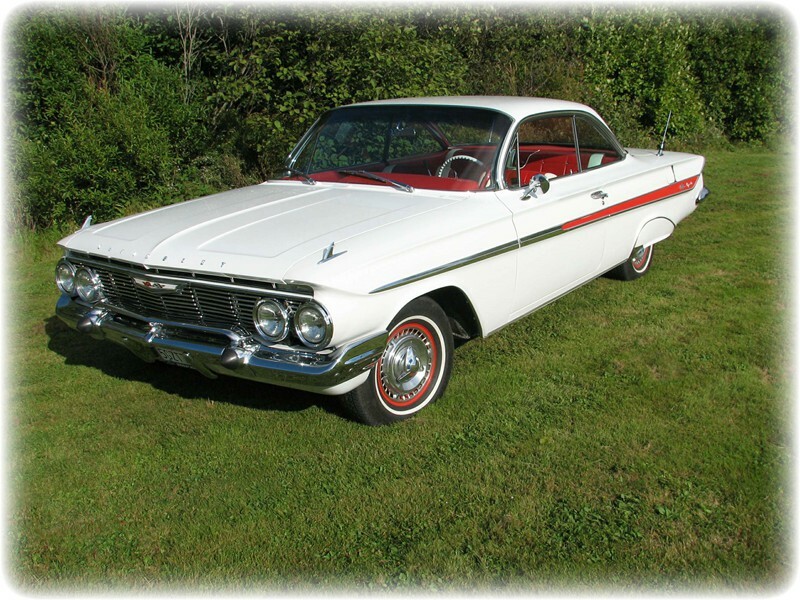 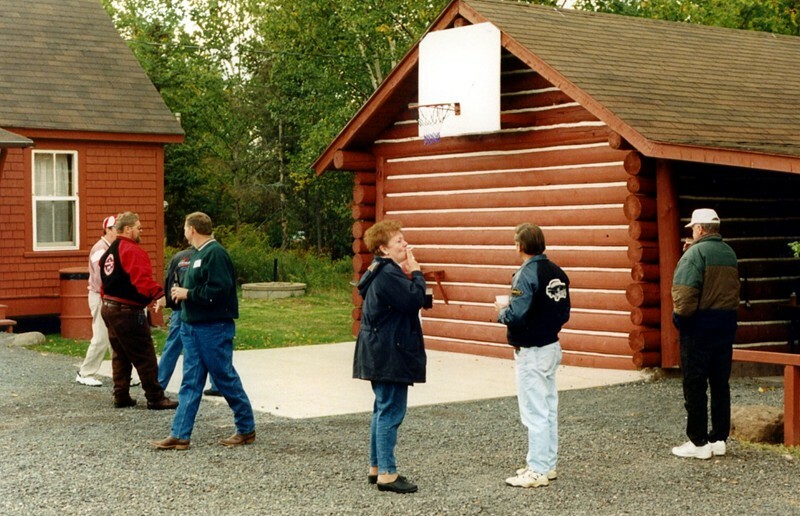 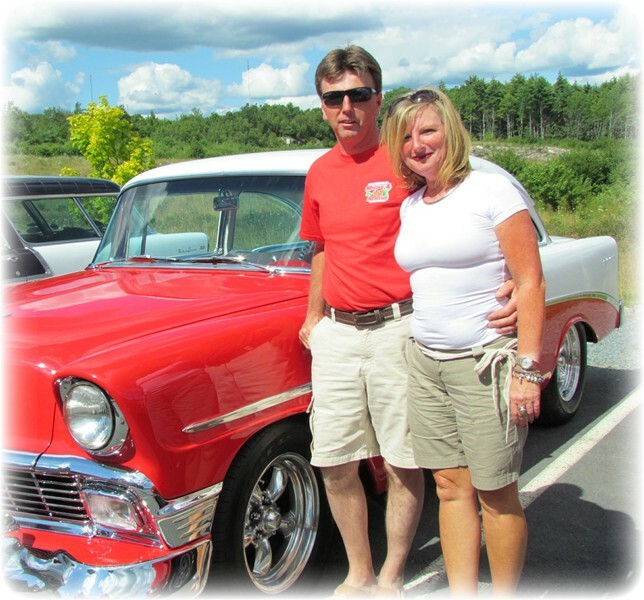 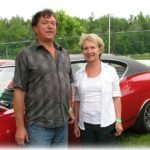 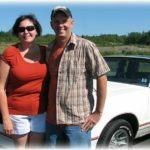 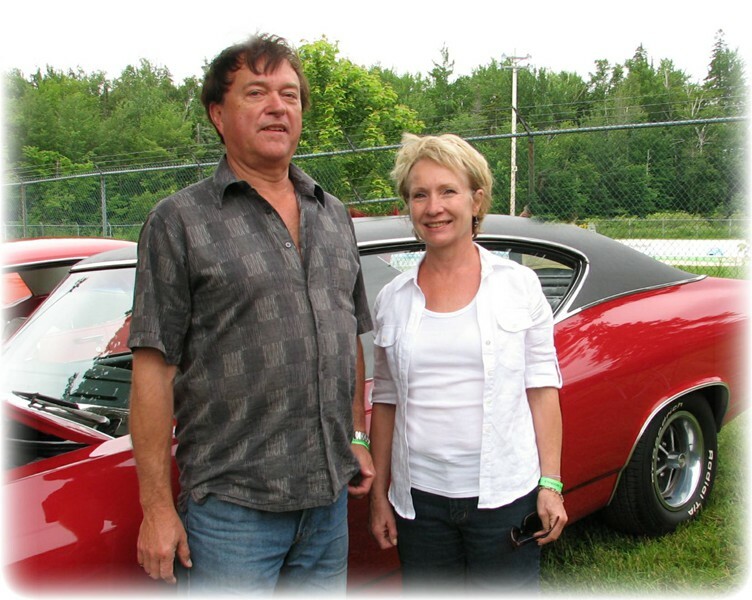 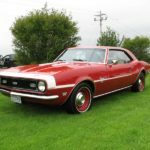 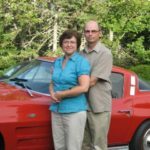 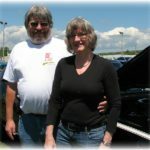 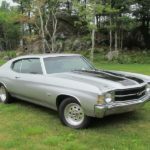 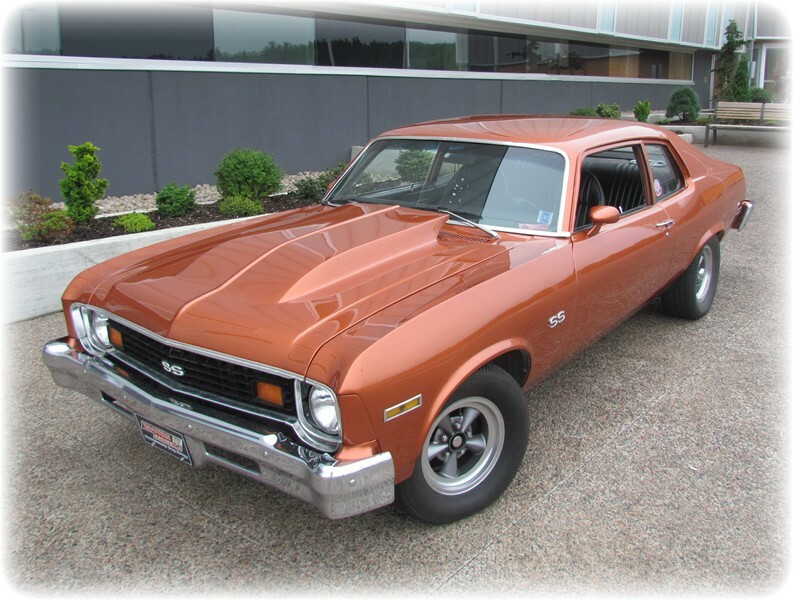 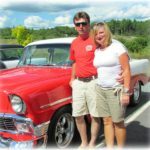 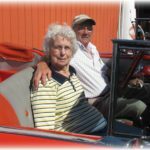 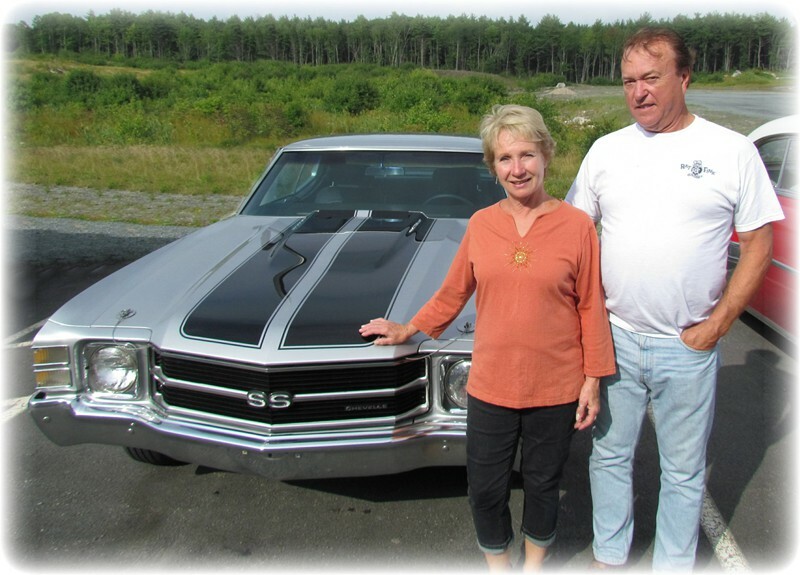 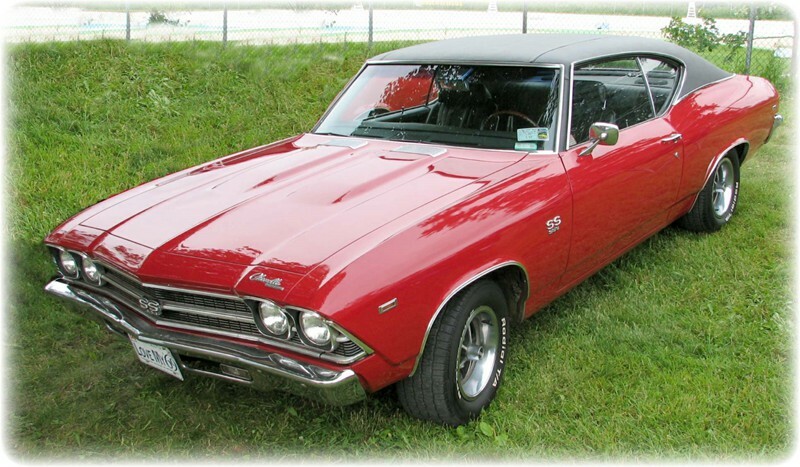 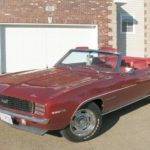 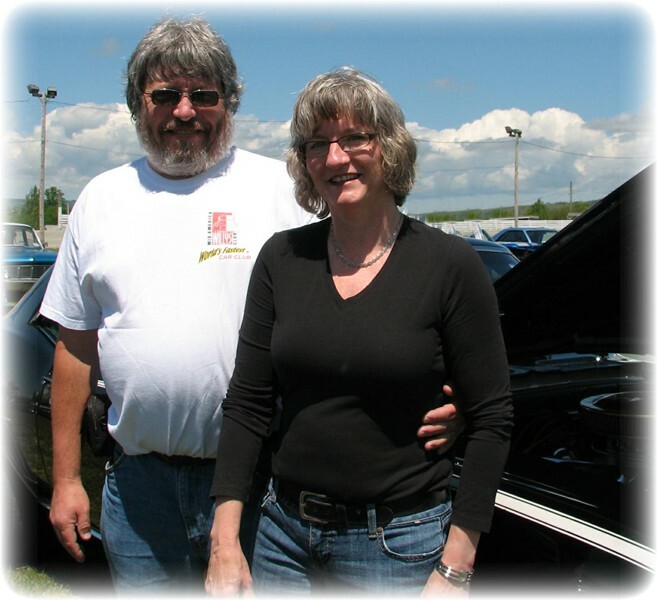 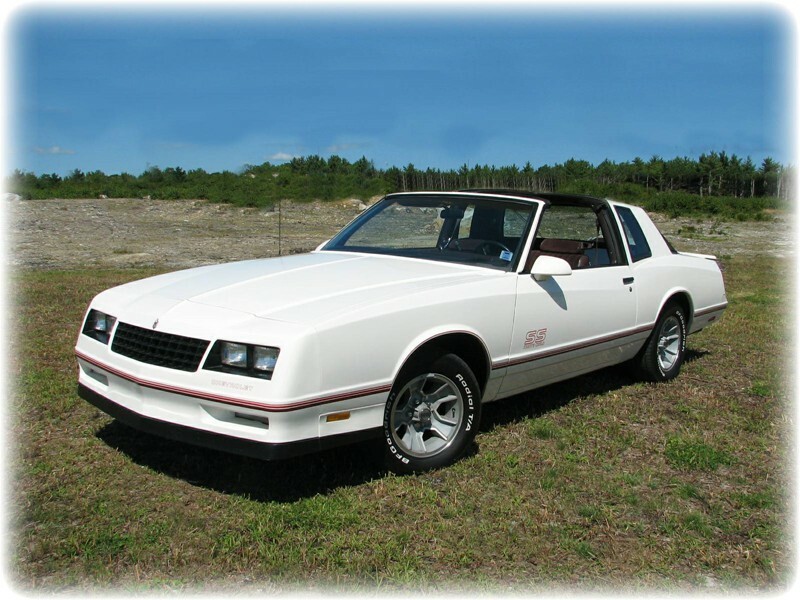 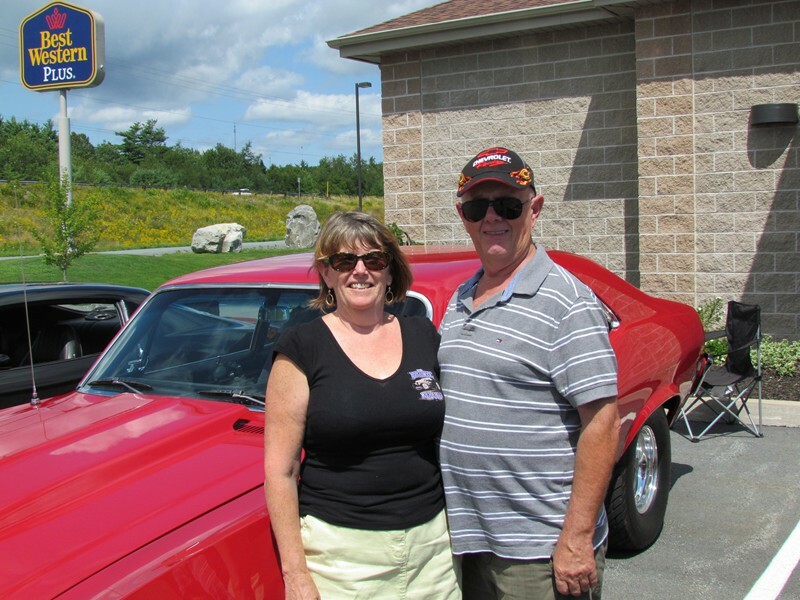 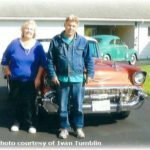 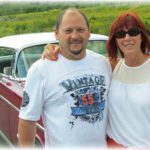 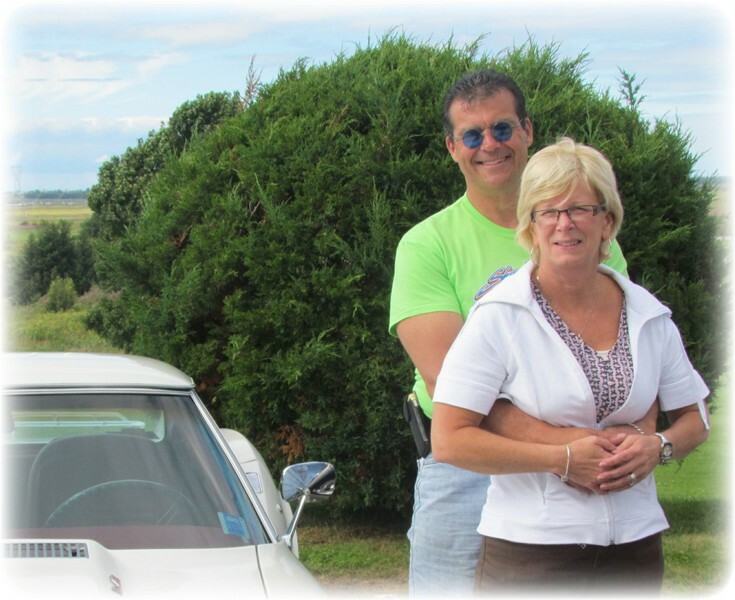 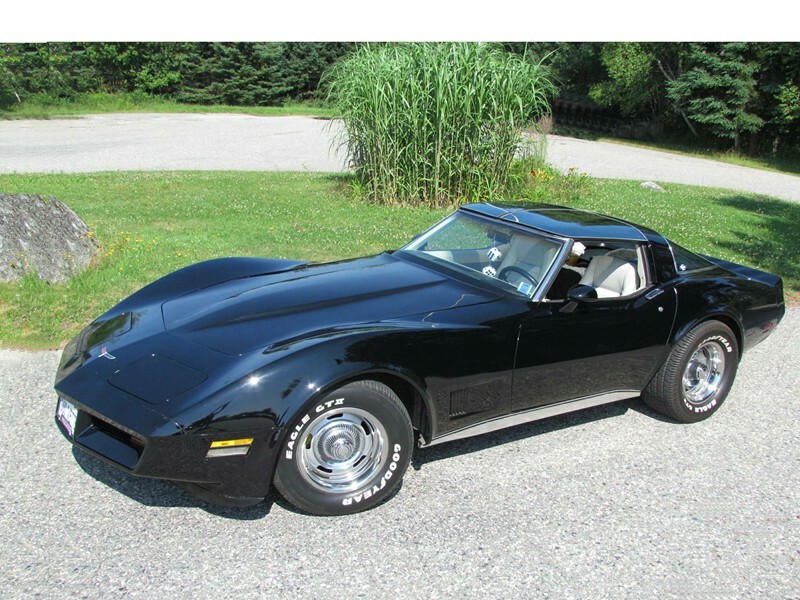 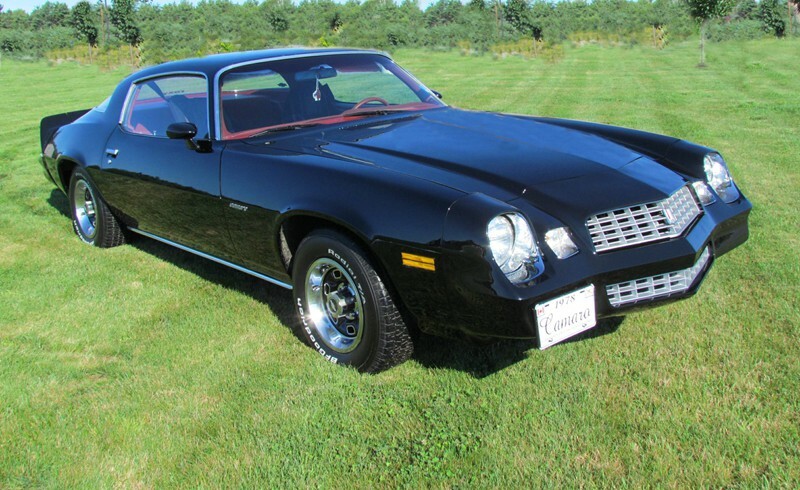 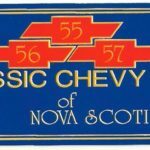 By the end of 1981, they had decided to become a 100 percent affiliate of Classic Chevy International that was formed in Florida, meaning that in order to be a member of the Classic Chevy Club of Nova Scotia, you also had to be a member of the International Club. 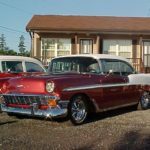 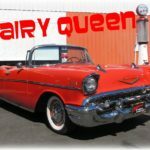 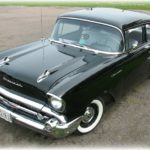 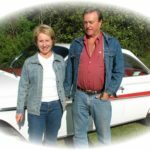 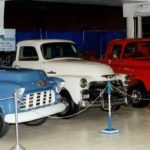 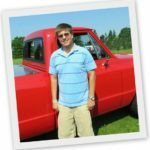 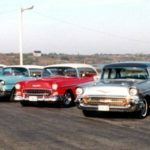 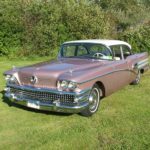 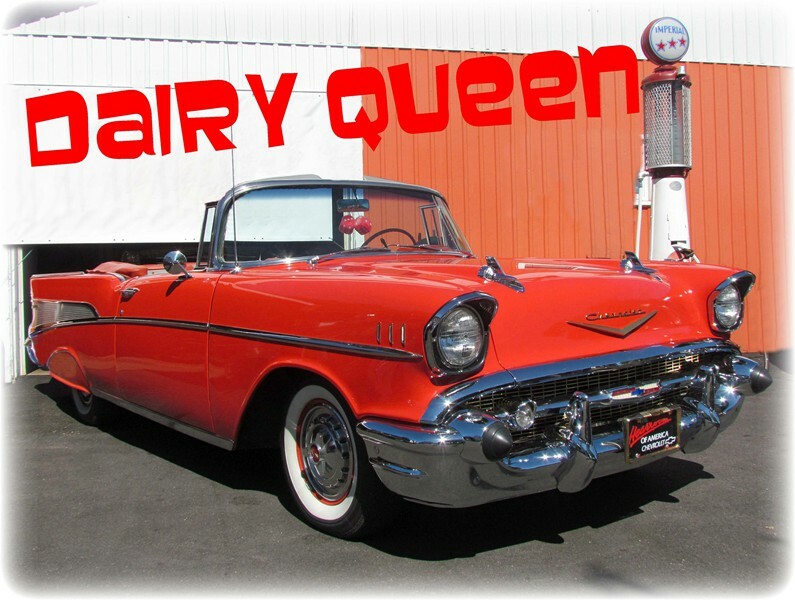 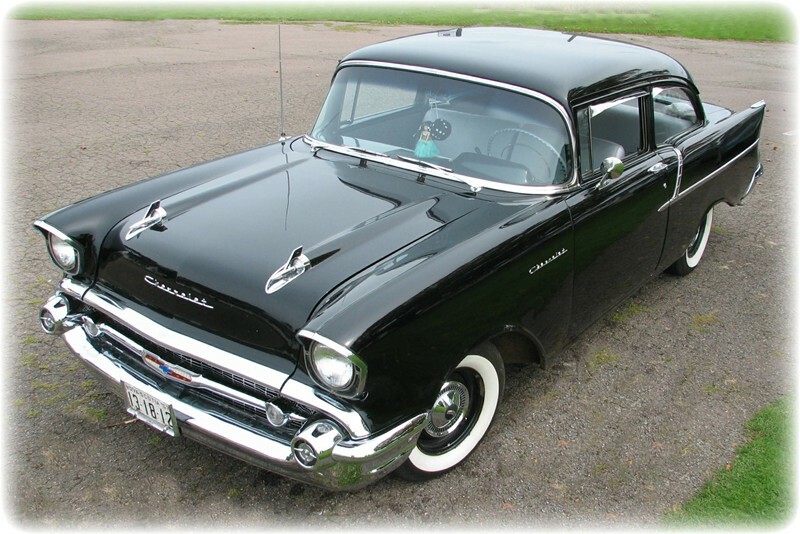 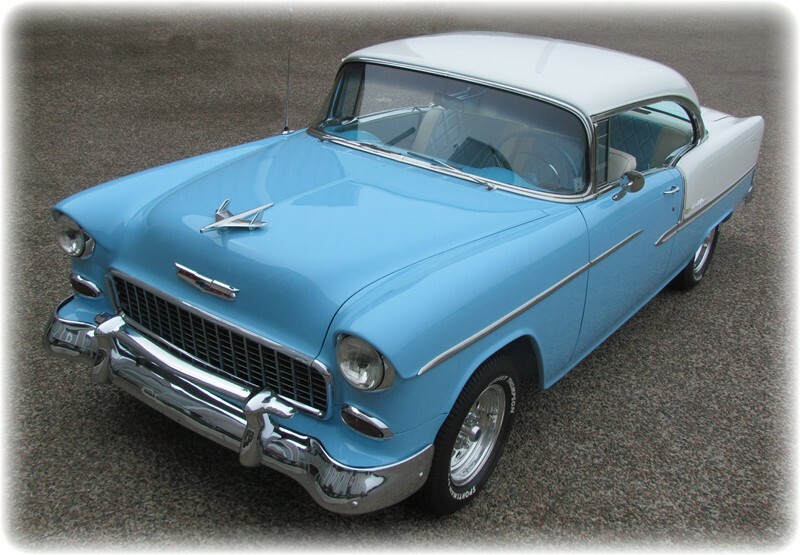 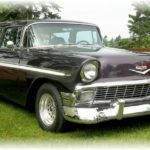 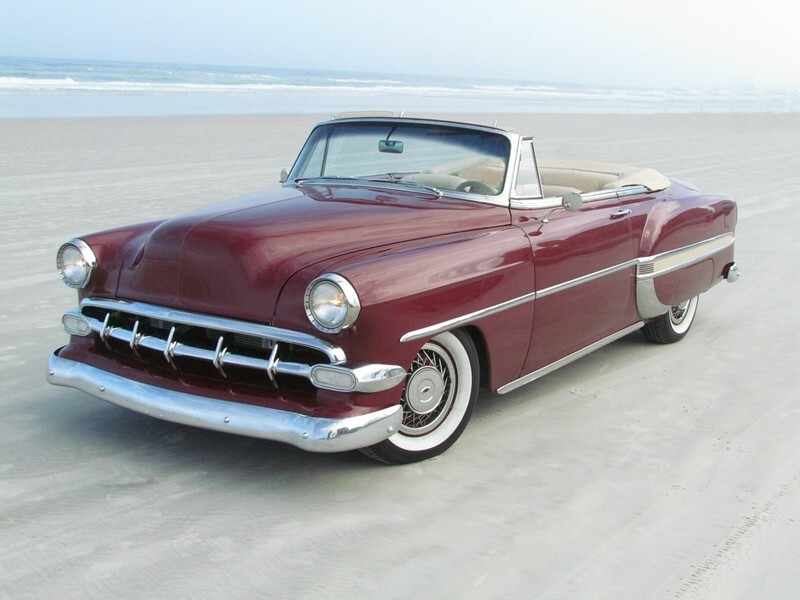 Although the club’s objective was to restore and preserve 1955-57 Chevrolet cars and trucks there is no requirement to own such a vehicle. 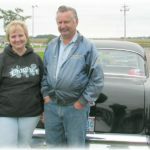 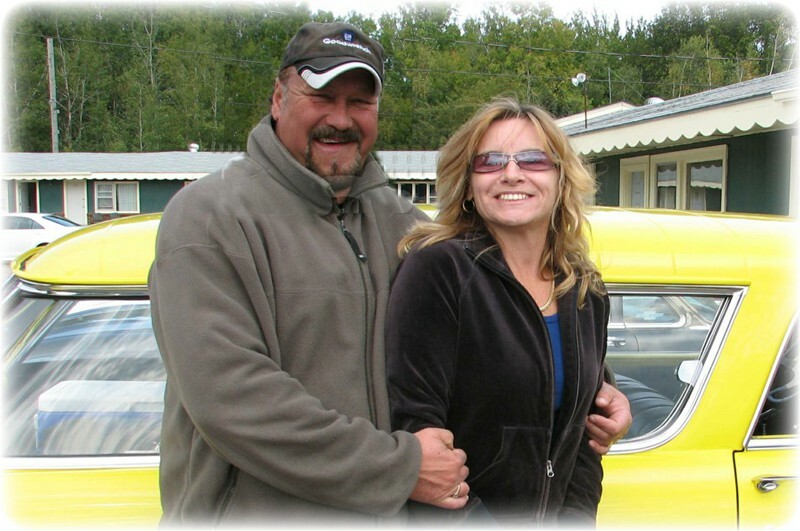 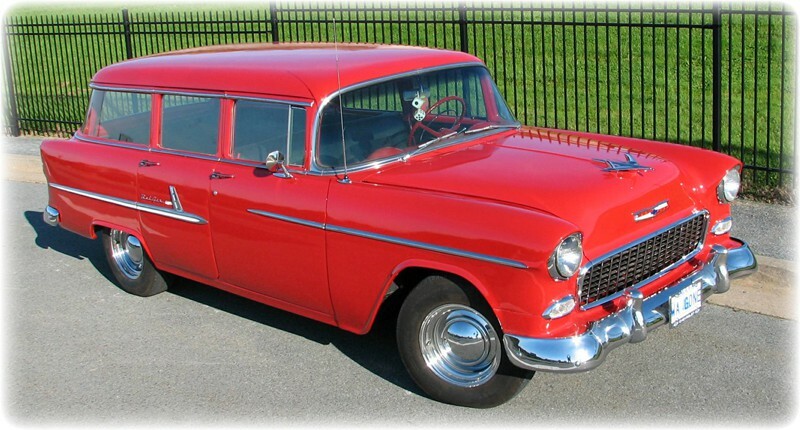 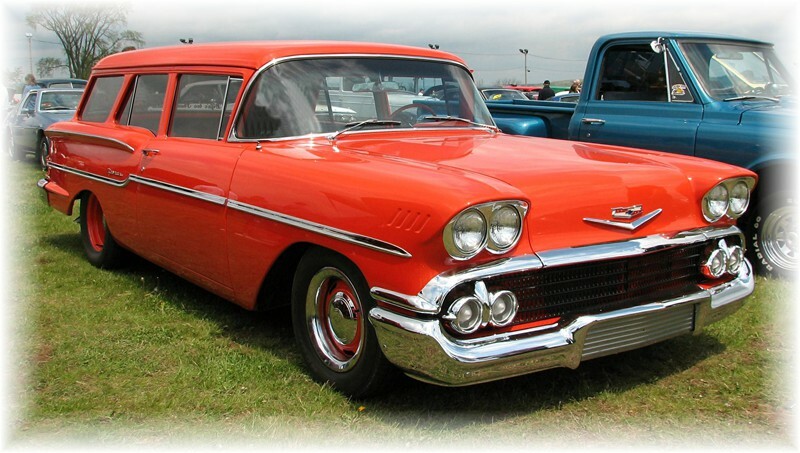 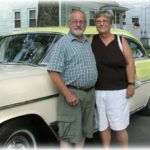 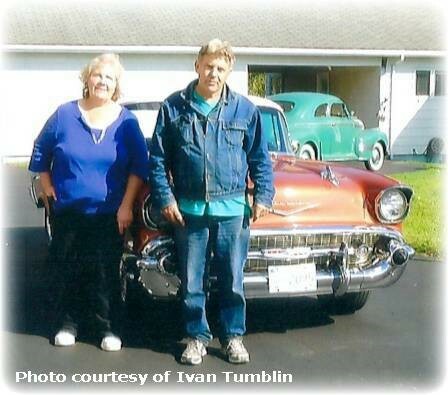 If you do not own a 55-57 Chevrolet you are welcome to become a member. 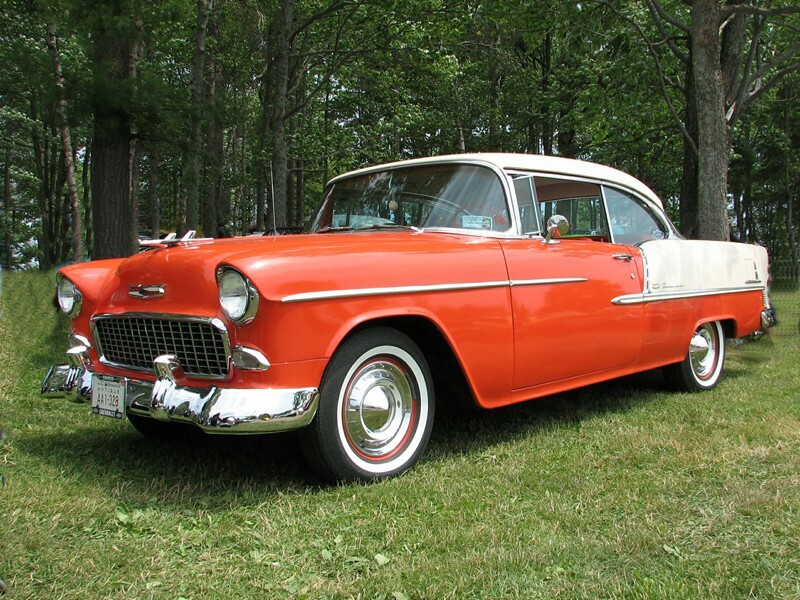 The result is that the club now contains a broader cross-section of primarily Chevrolet products. 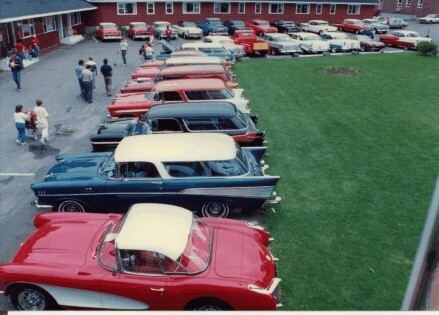 The Club is about enjoying their cars rather than competing. 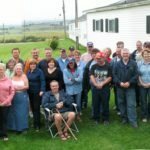 Since its formation, the club has had 320 members. 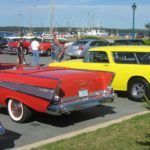 It has included members not only members of Nova Scotia but also Prince Edward Island, New Brunswick, Newfoundland and places in the USA. 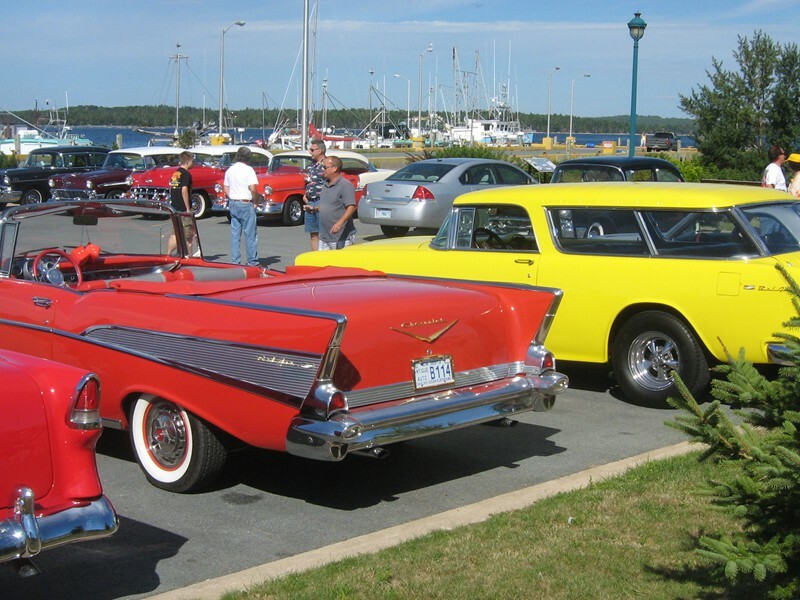 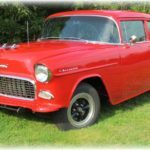 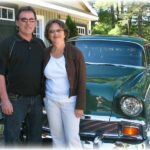 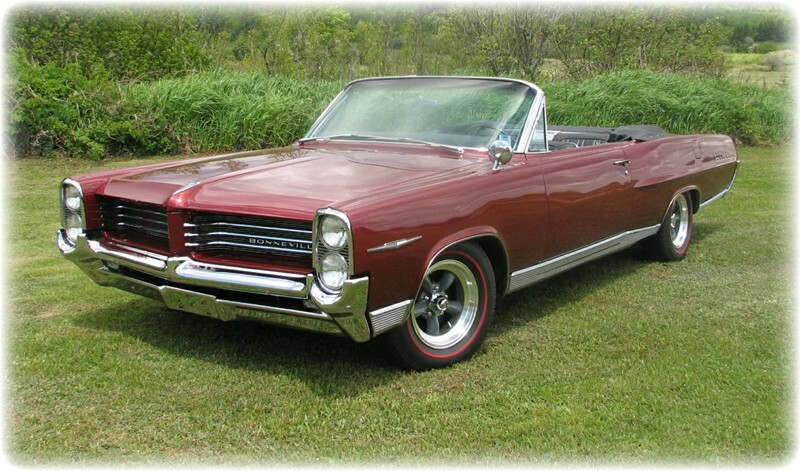 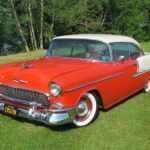 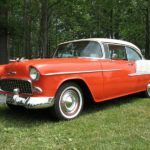 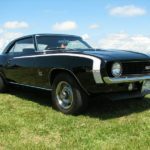 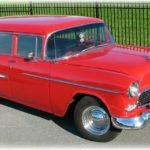 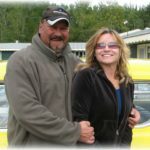 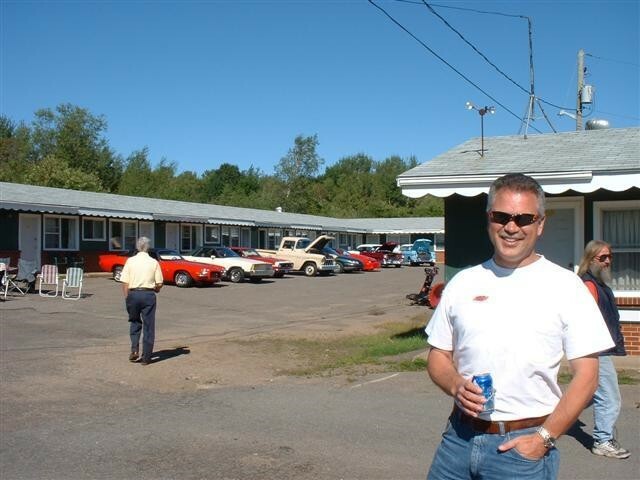 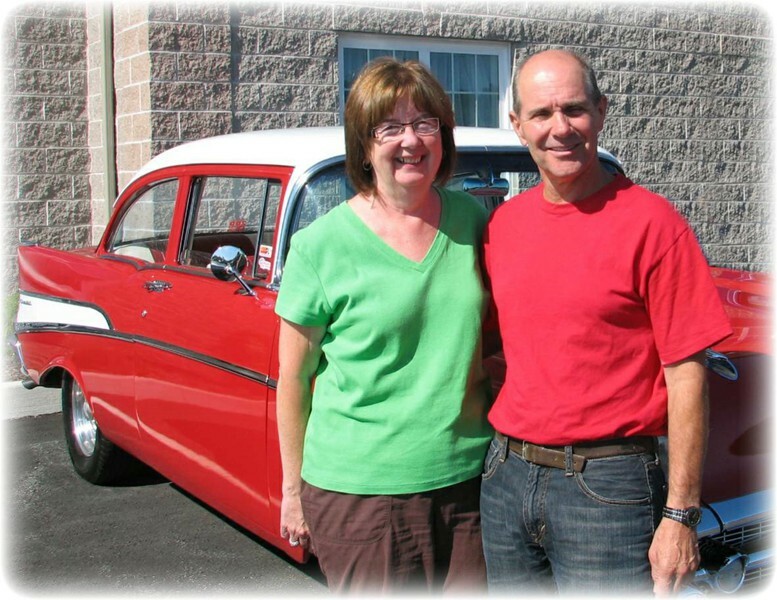 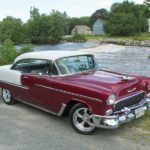 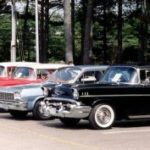 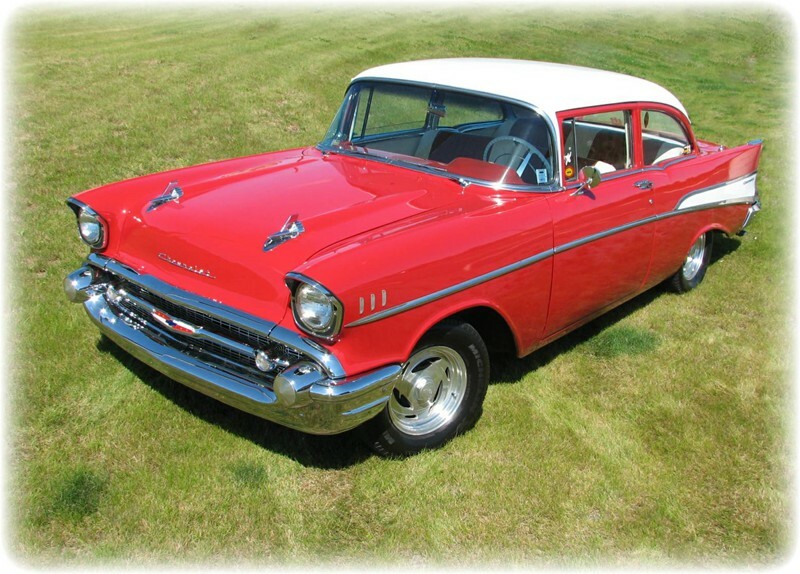 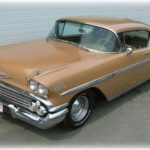 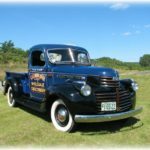 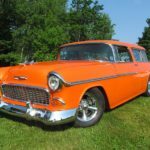 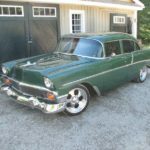 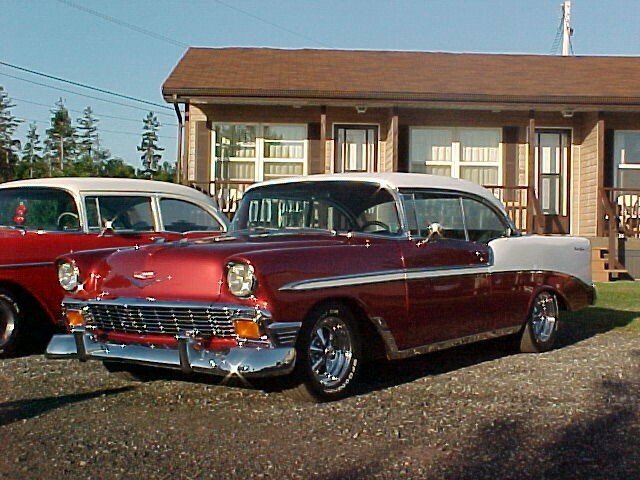 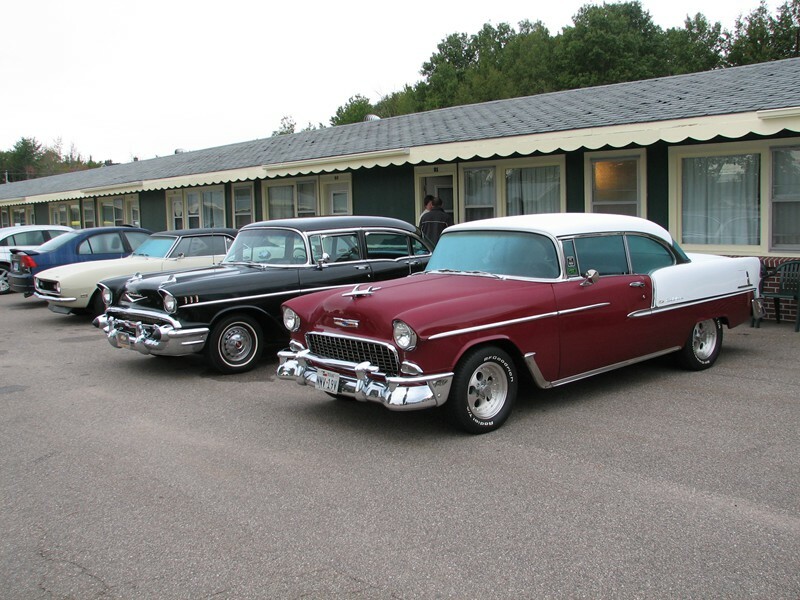 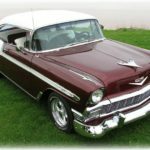 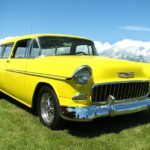 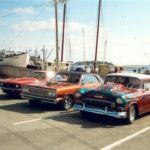 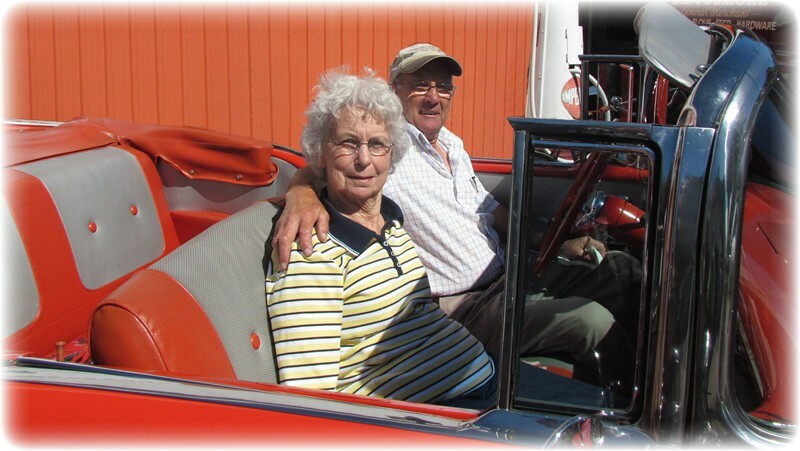 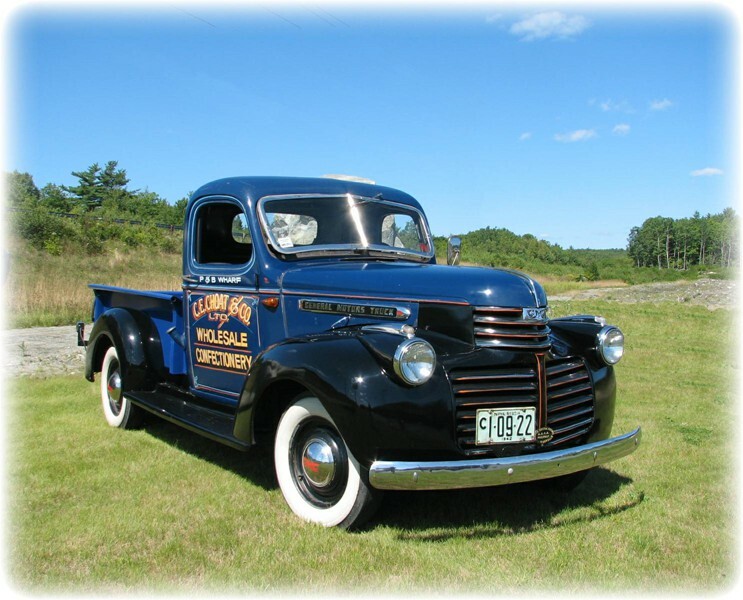 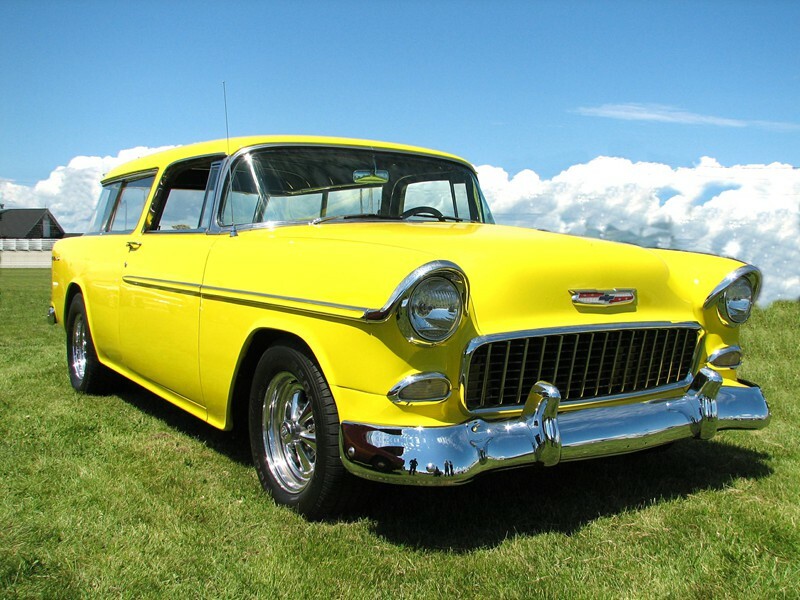 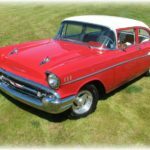 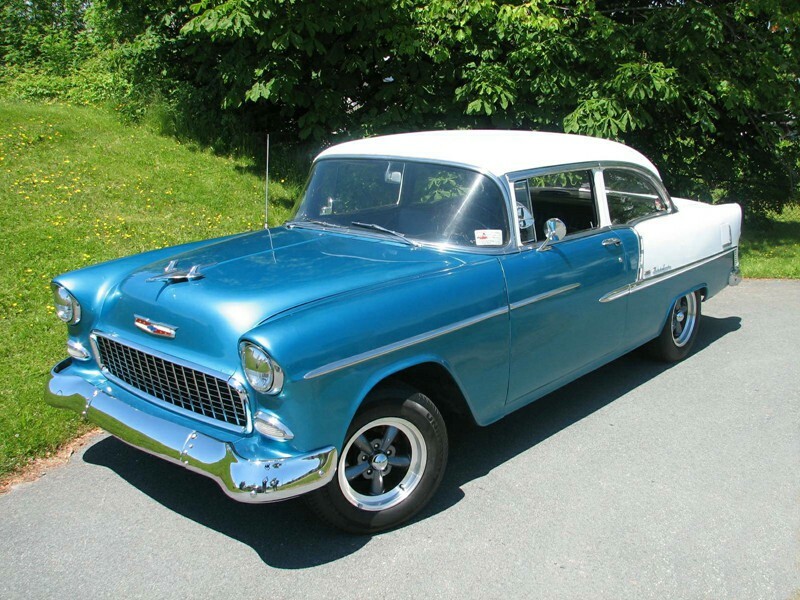 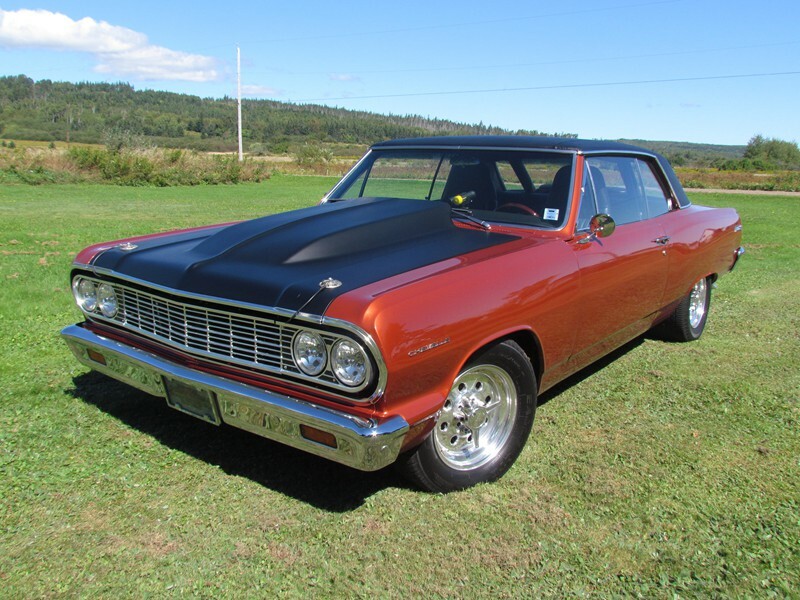 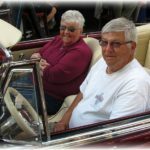 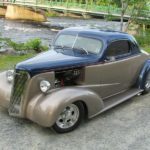 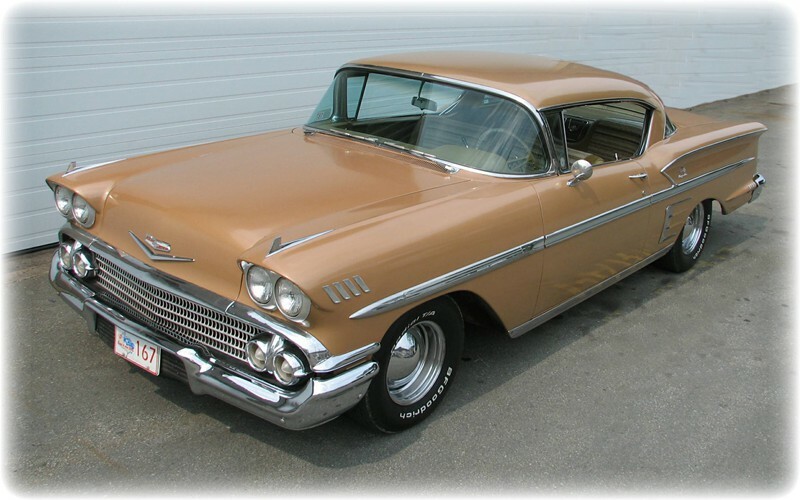 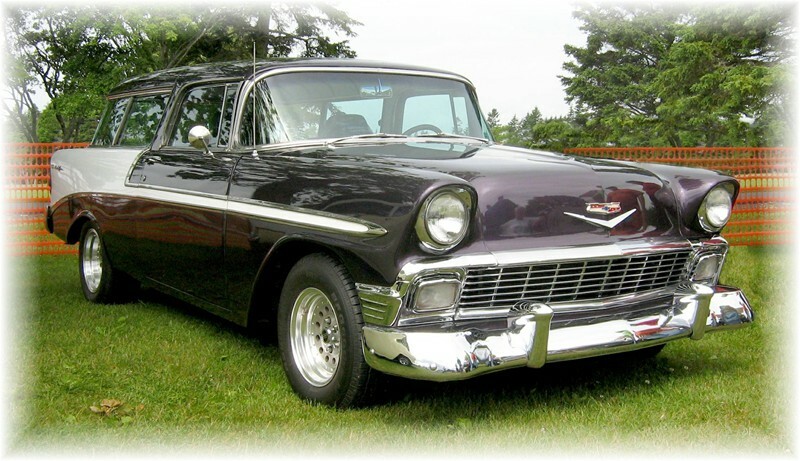 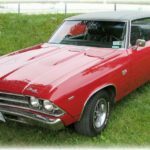 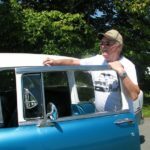 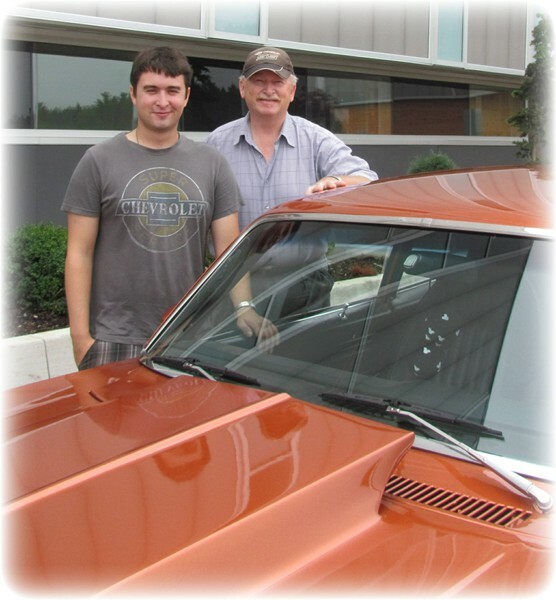 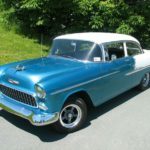 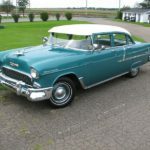 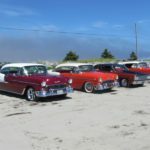 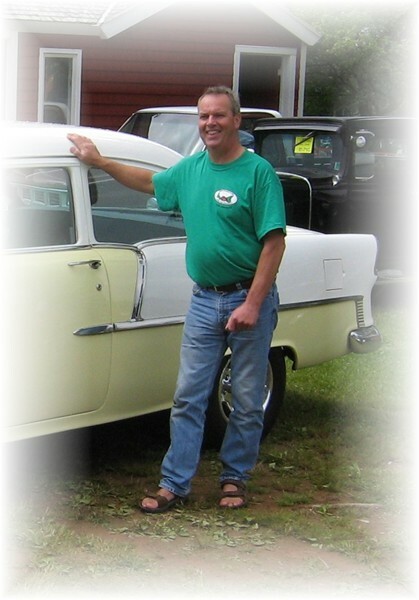 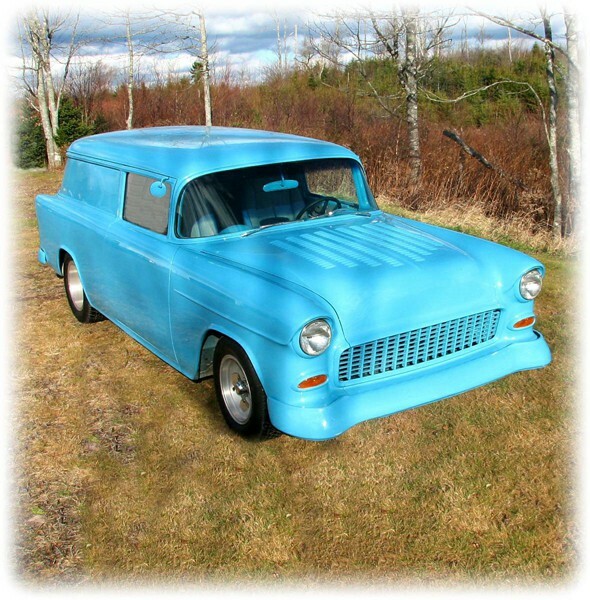 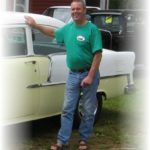 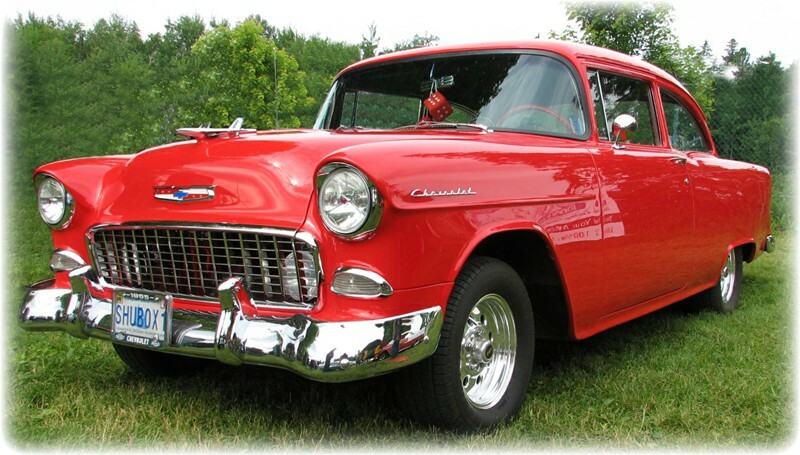 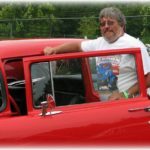 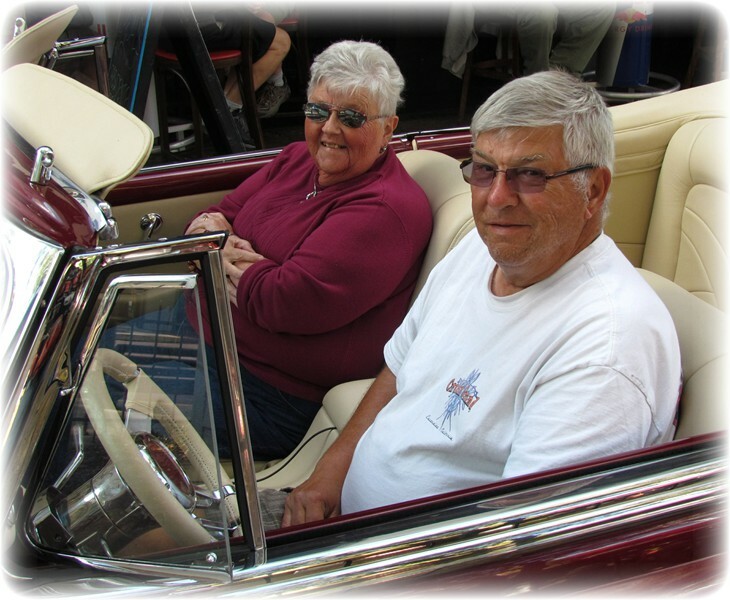 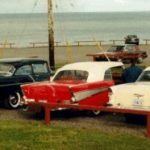 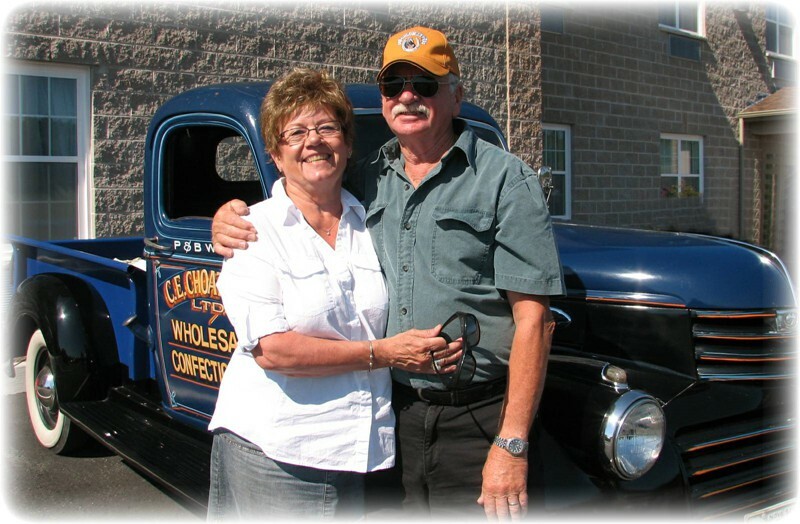 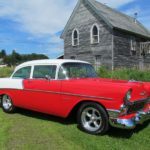 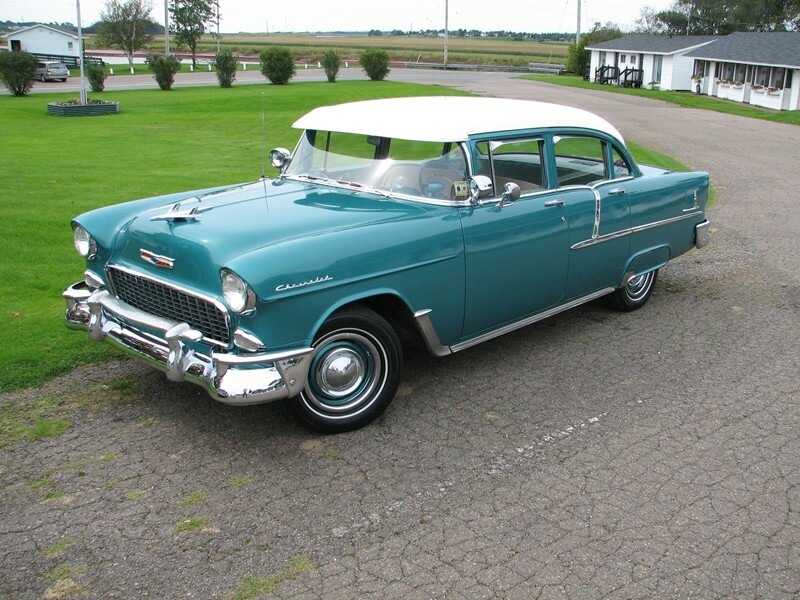 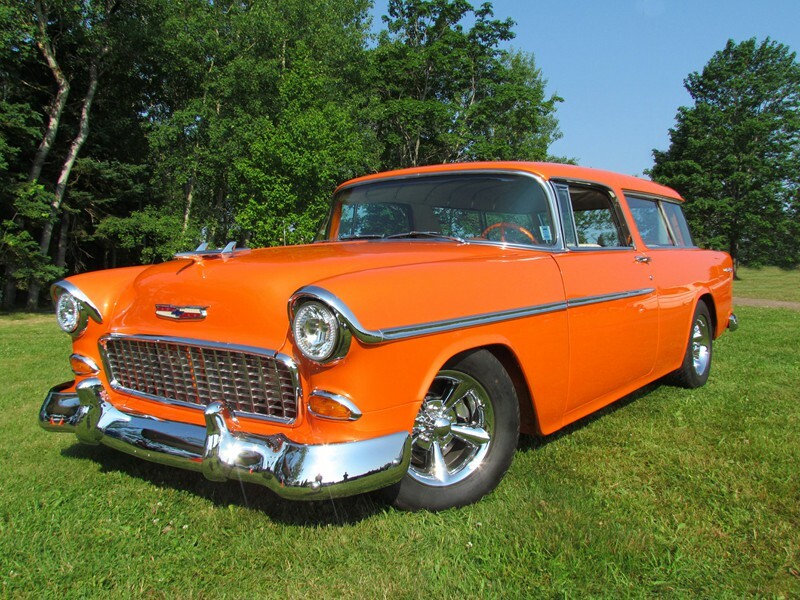 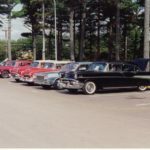 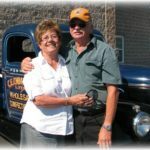 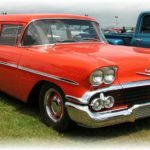 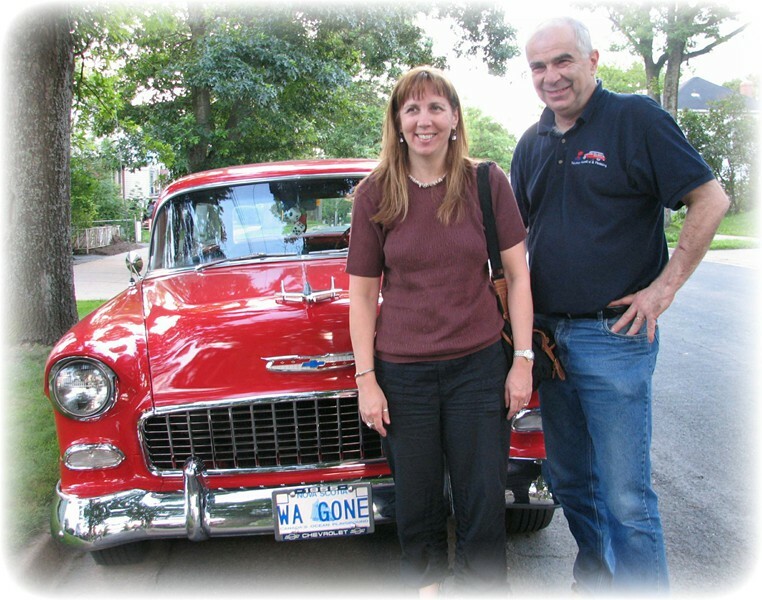 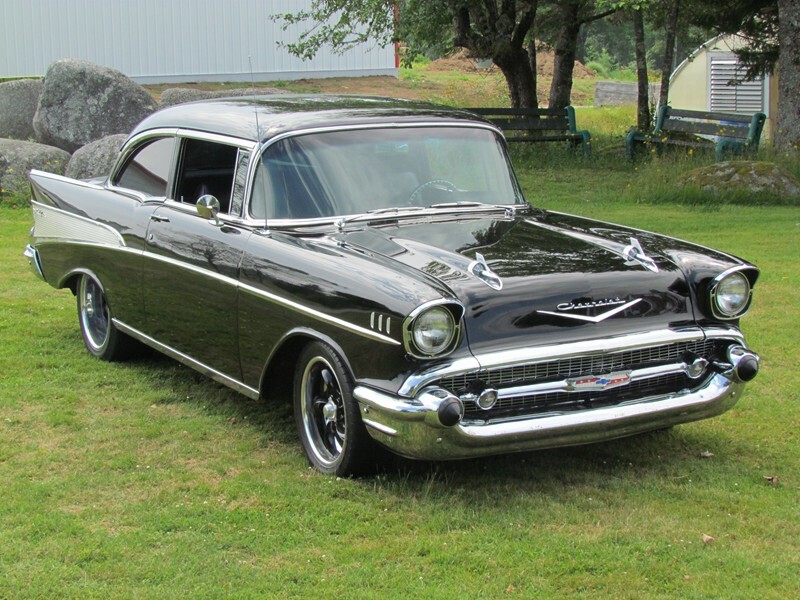 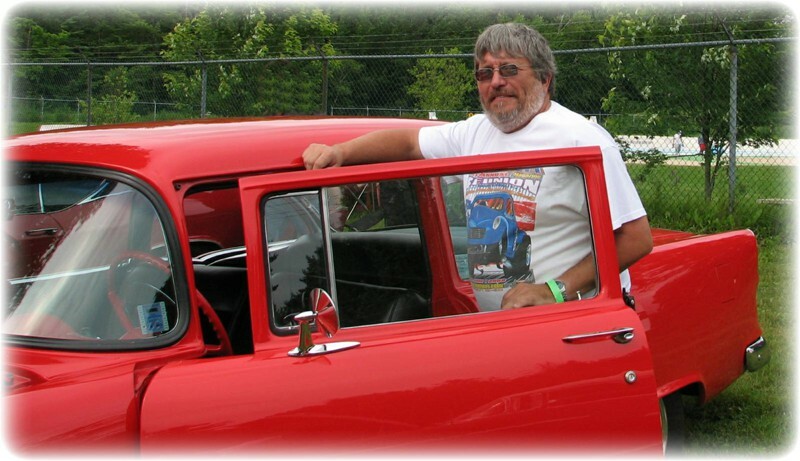 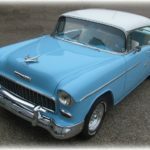 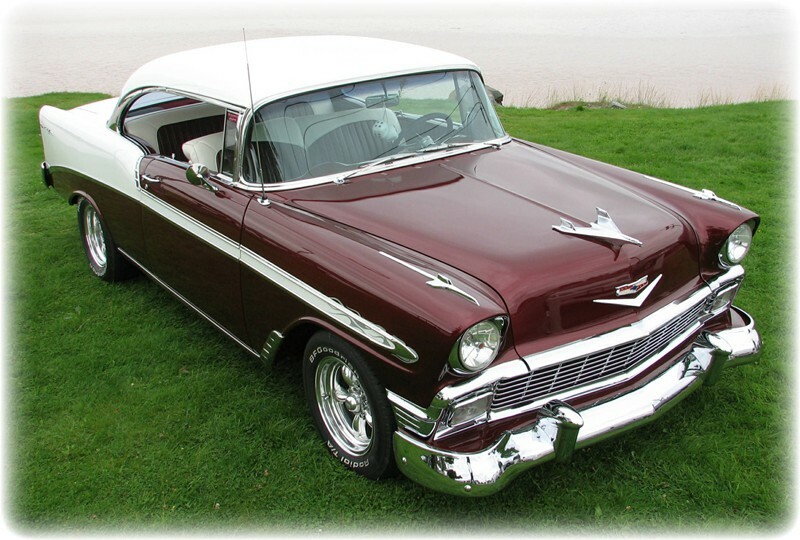 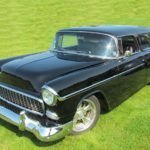 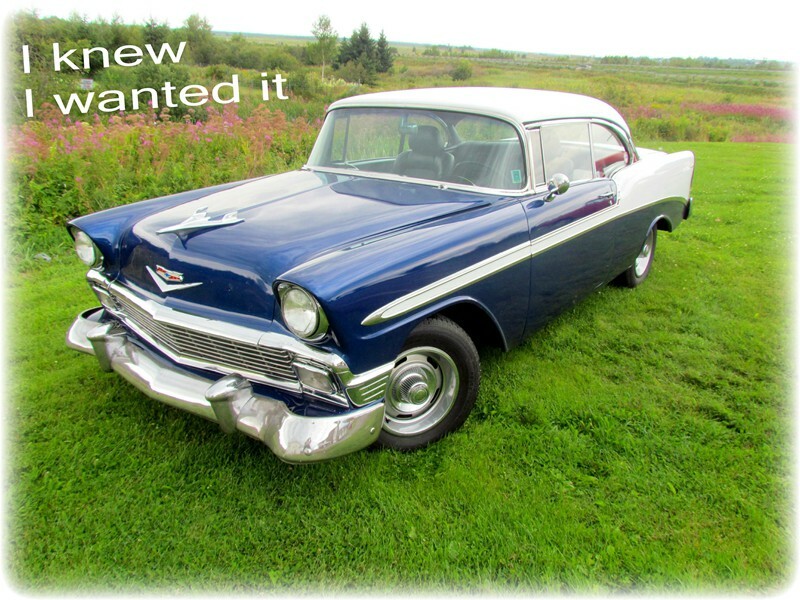 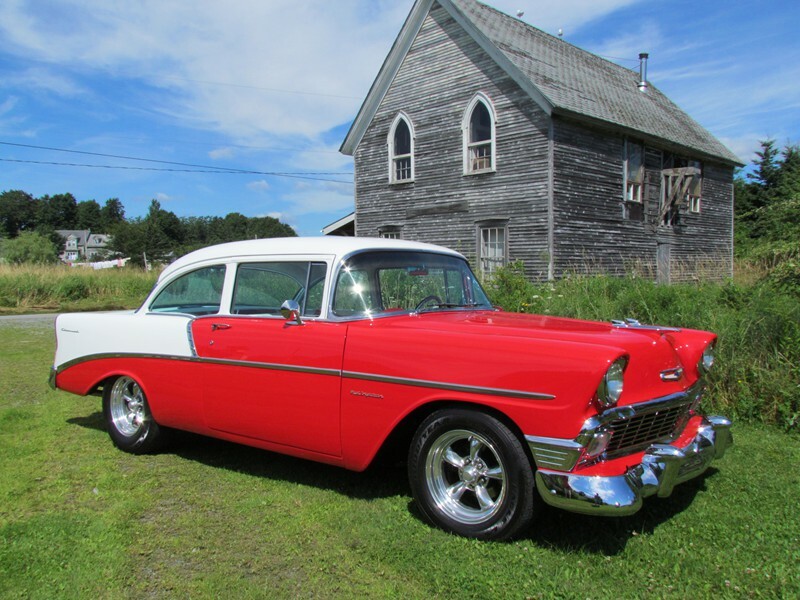 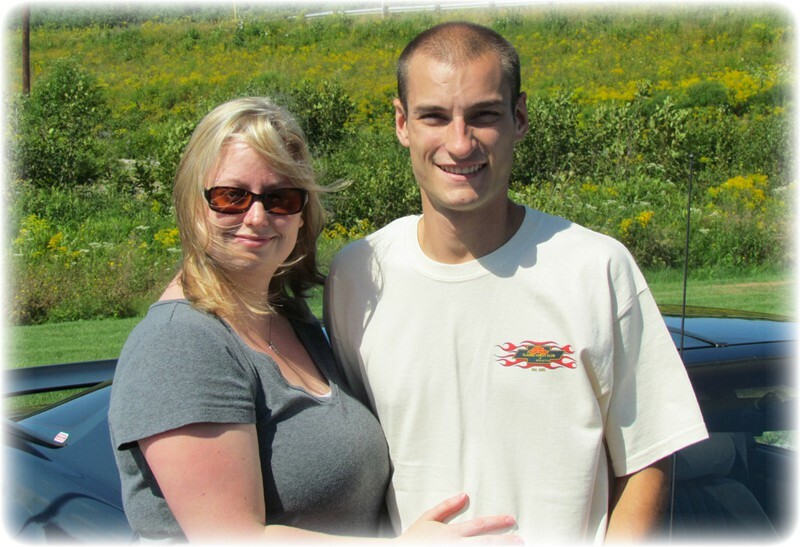 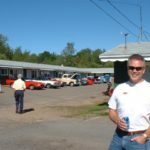 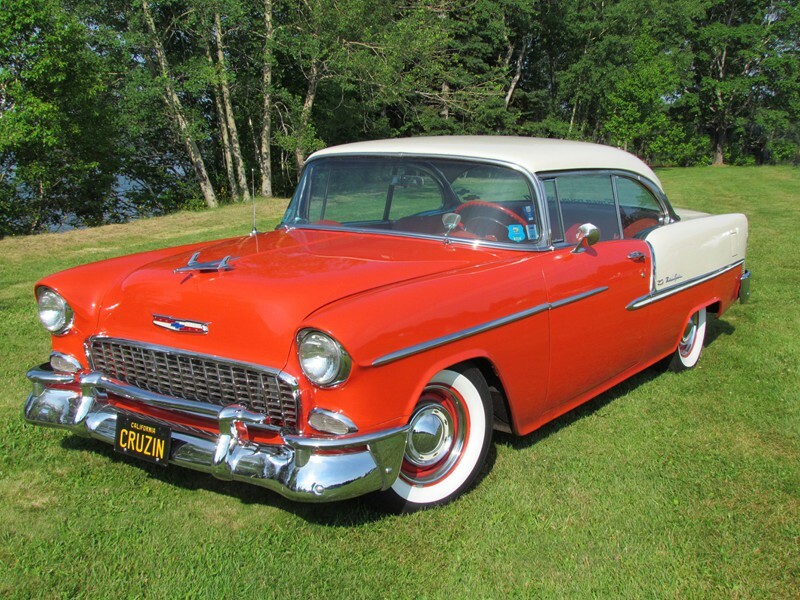 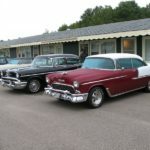 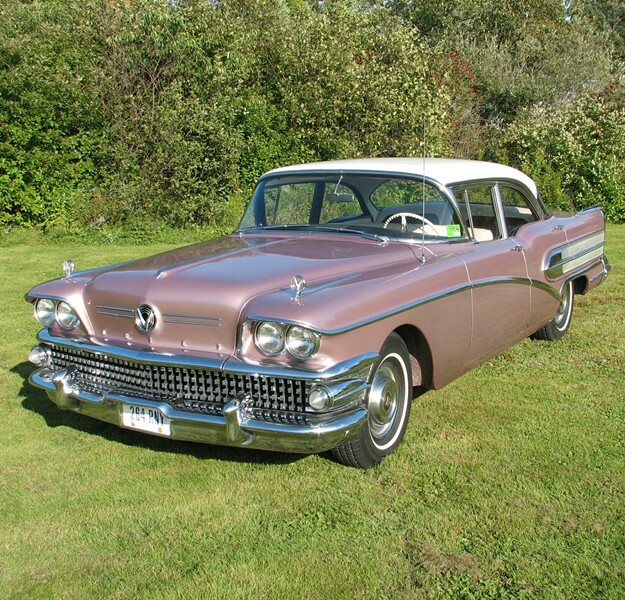 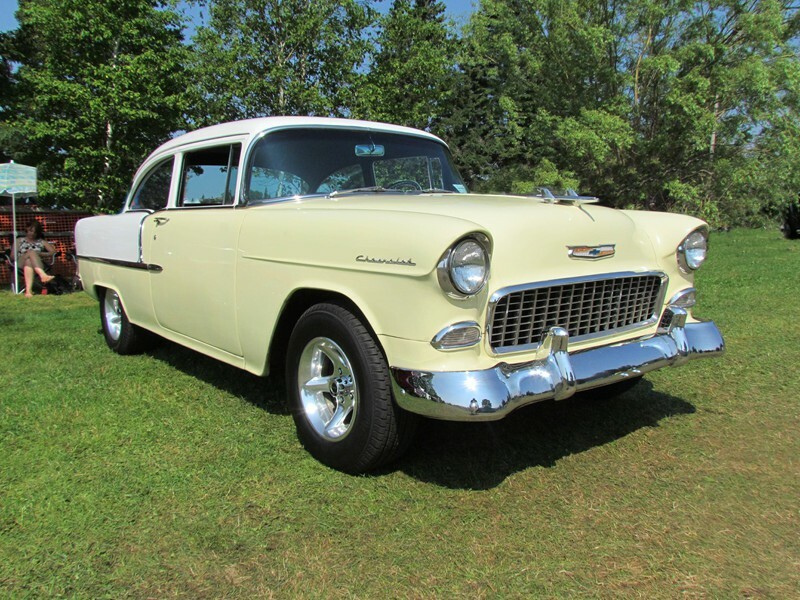 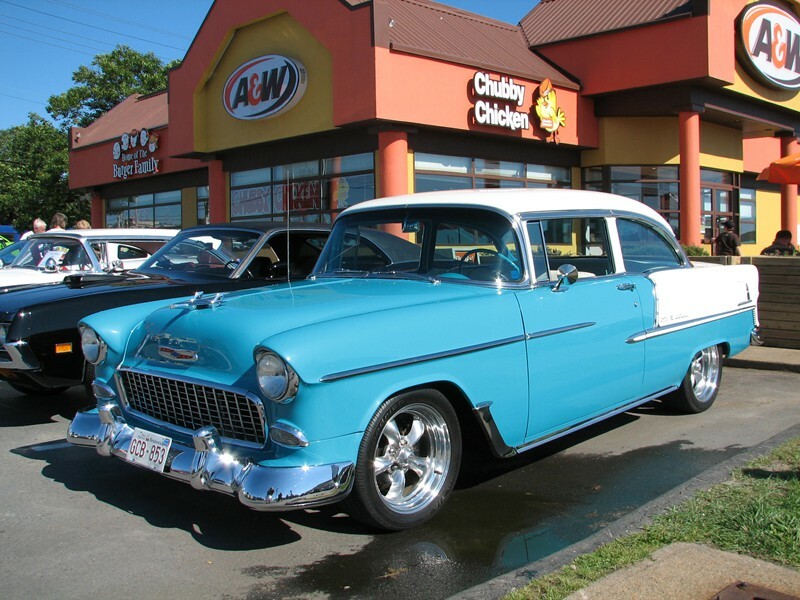 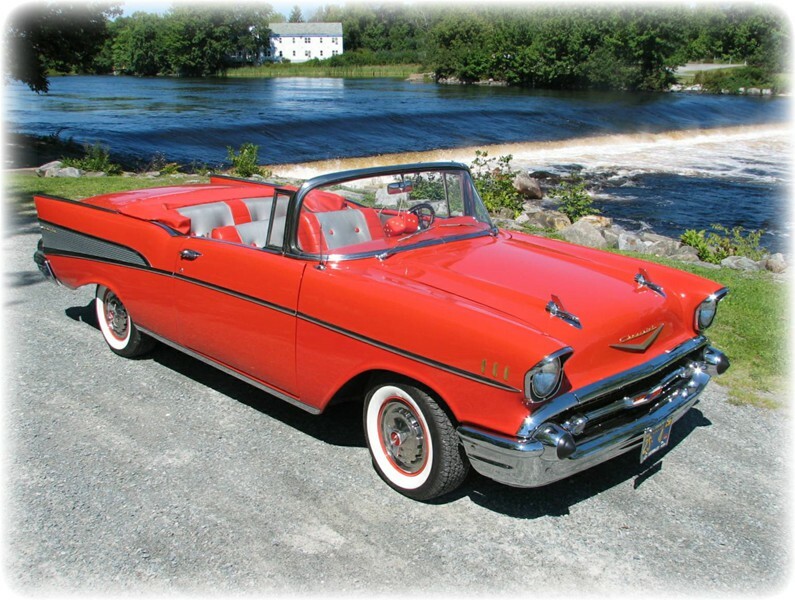 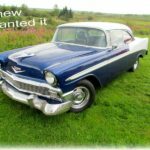 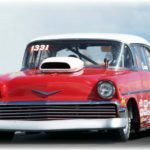 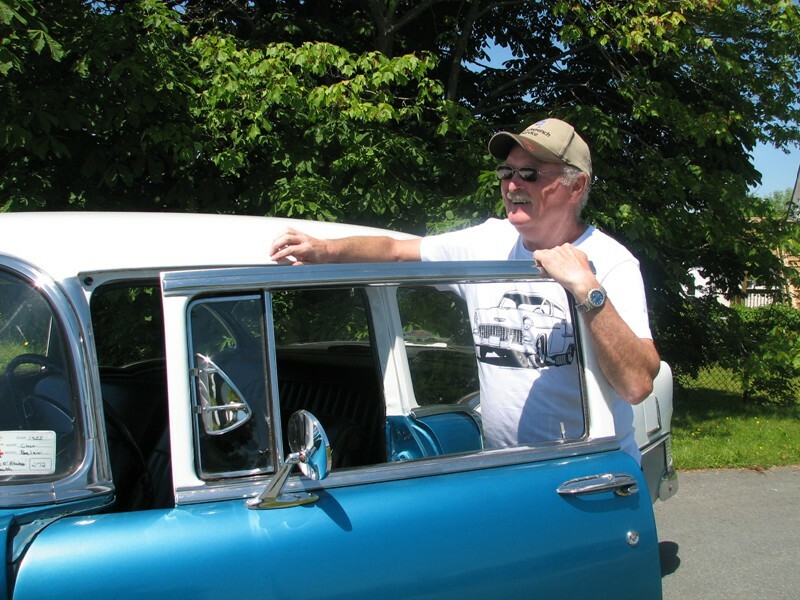 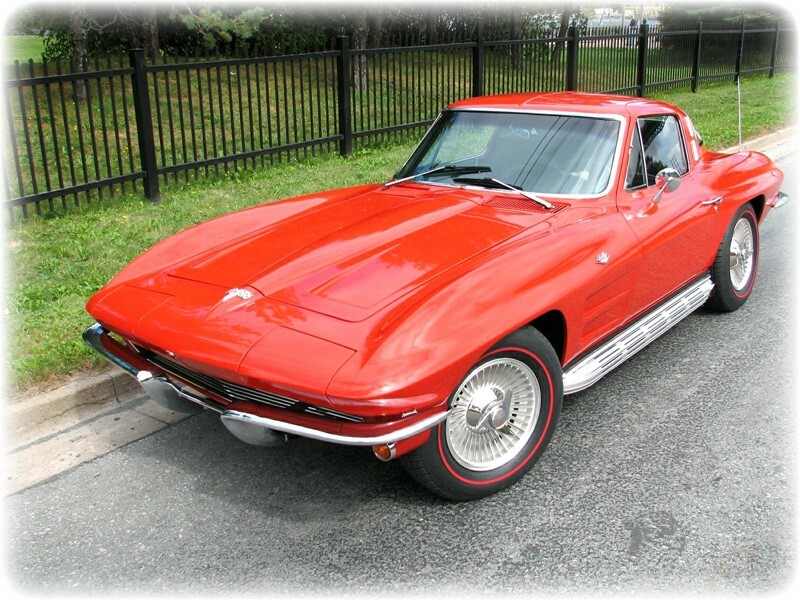 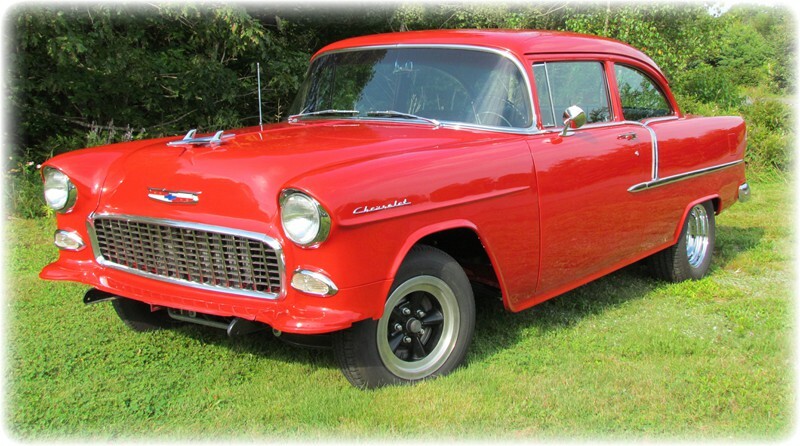 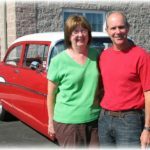 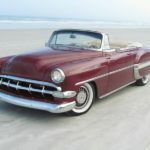 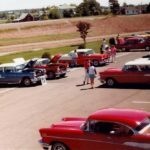 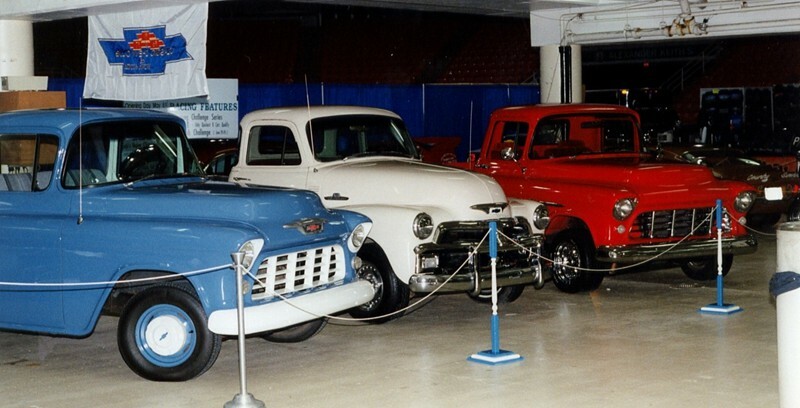 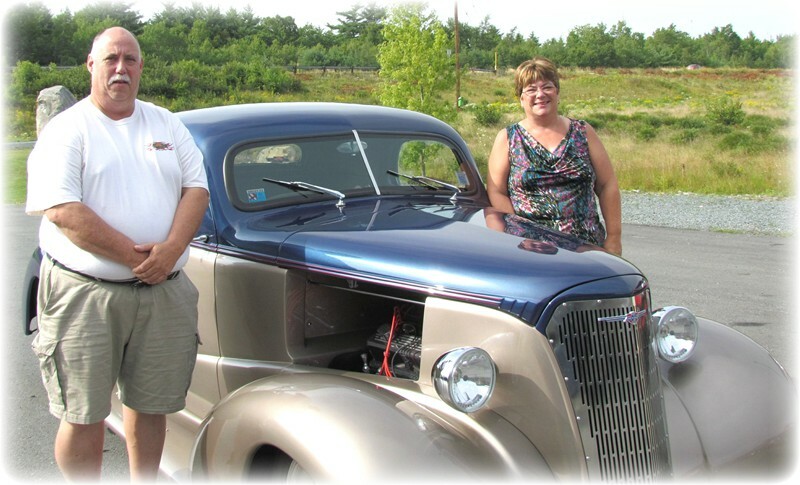 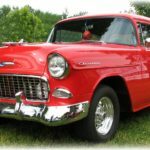 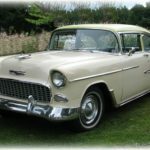 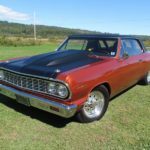 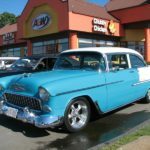 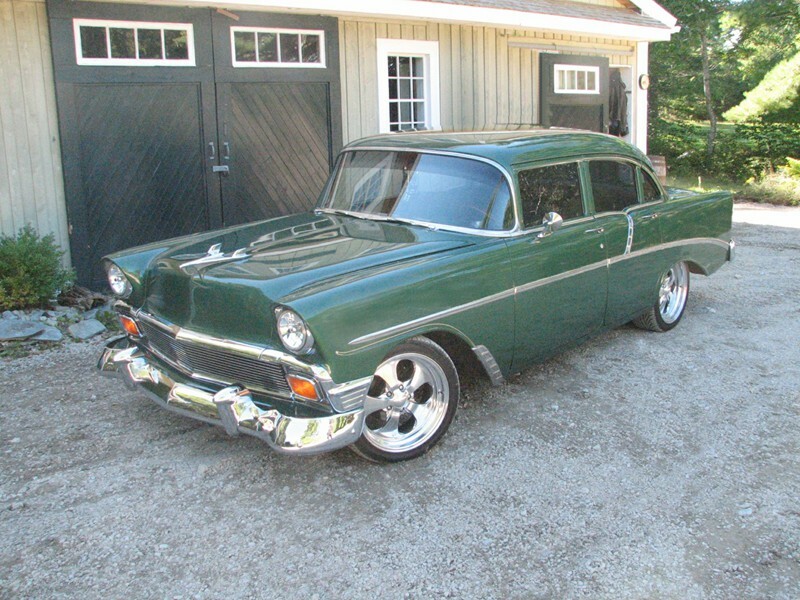 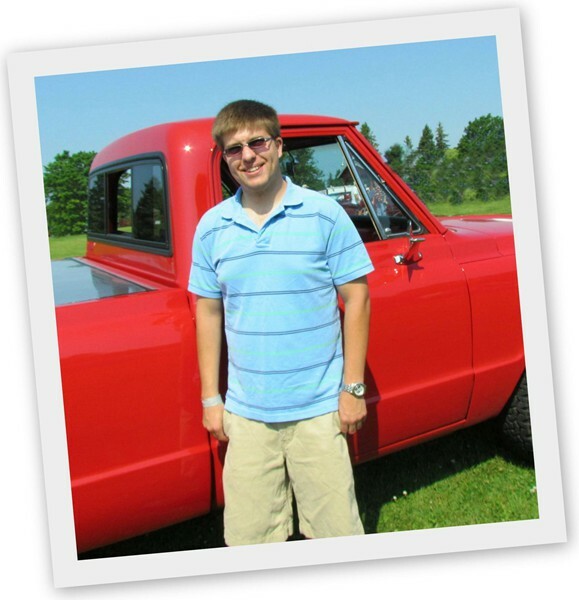 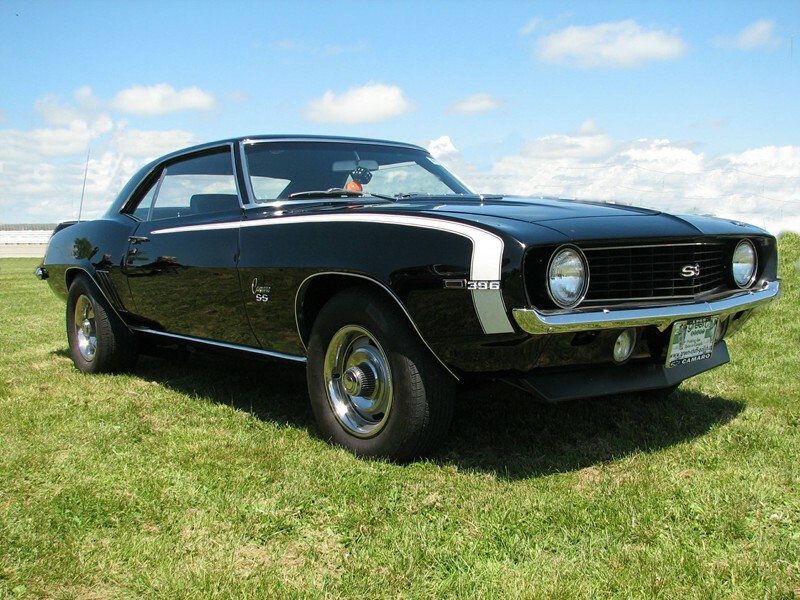 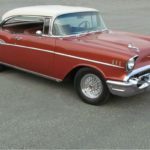 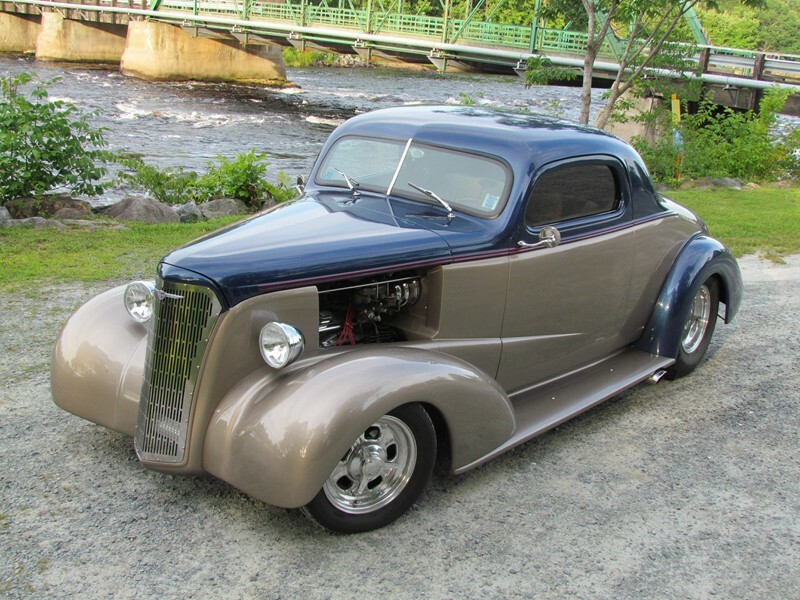 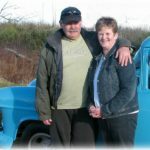 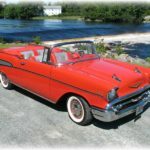 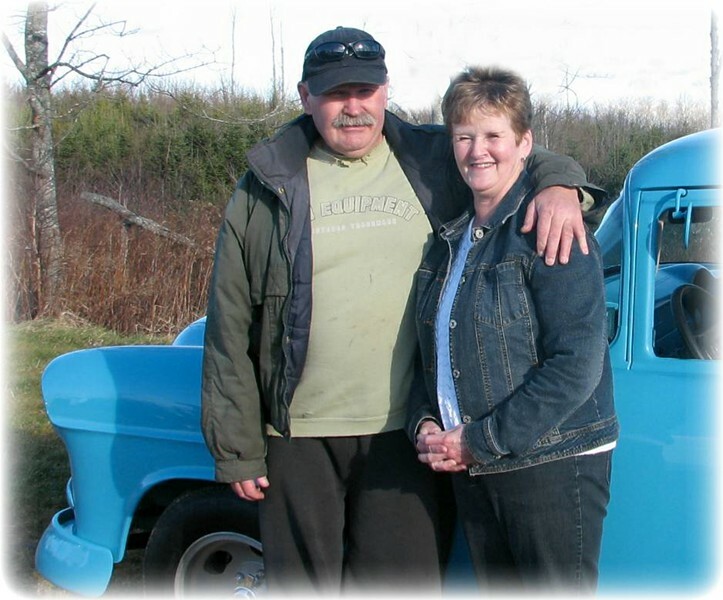 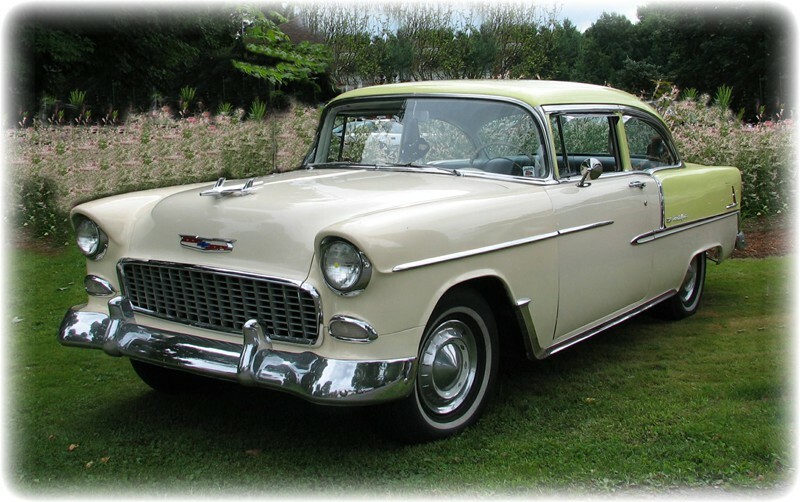 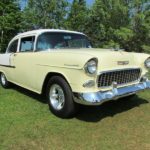 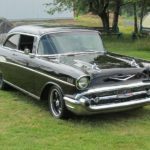 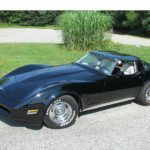 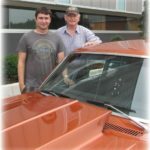 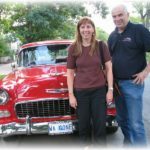 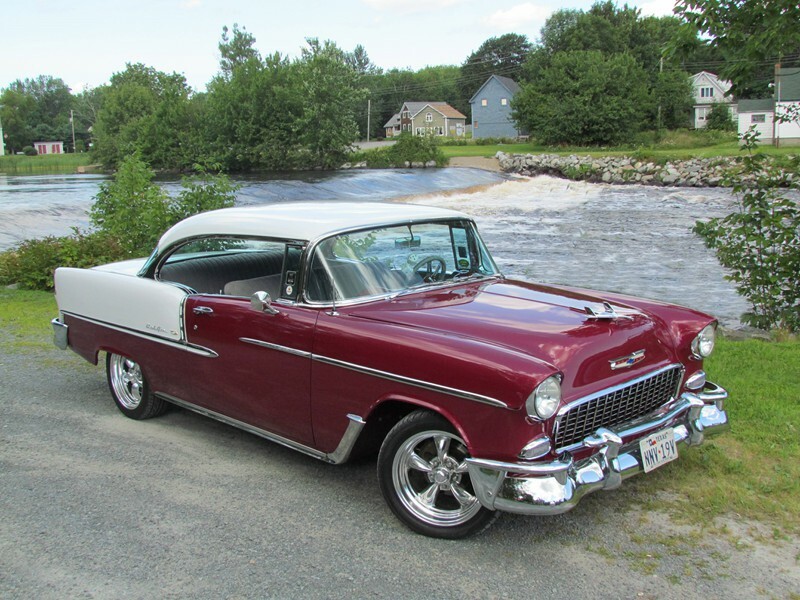 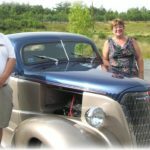 The Classic Chevy Club of Nova Scotia is an active member of the National Association of Antique Automobile Canada Corporation and of the Maritime Motorsports Hall Of Fame Inc.